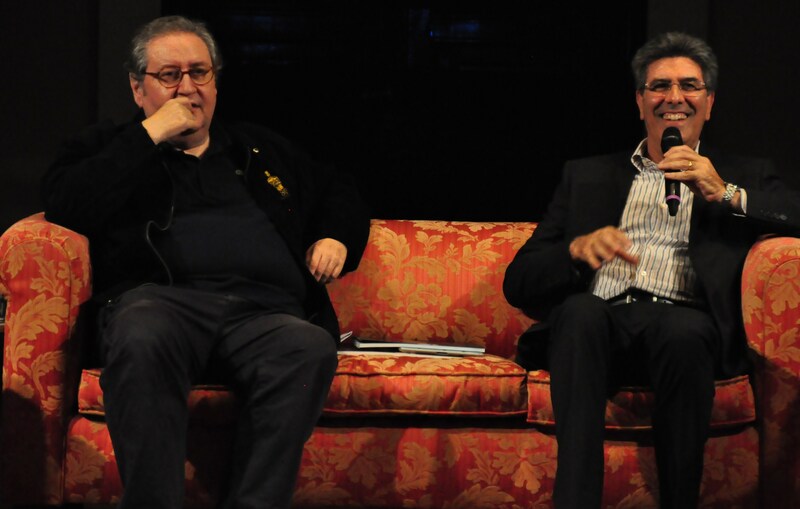 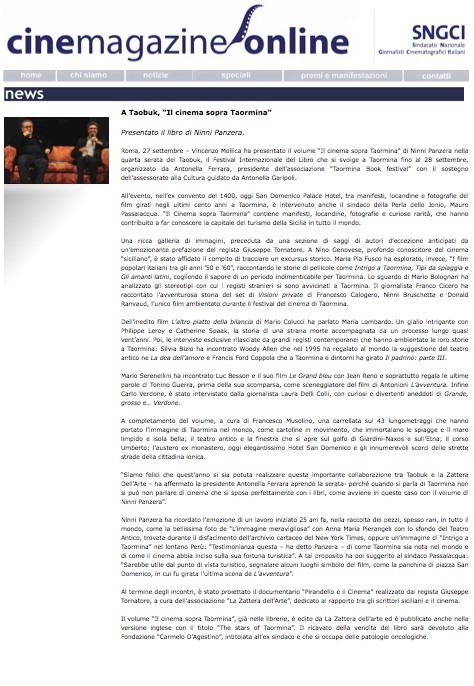 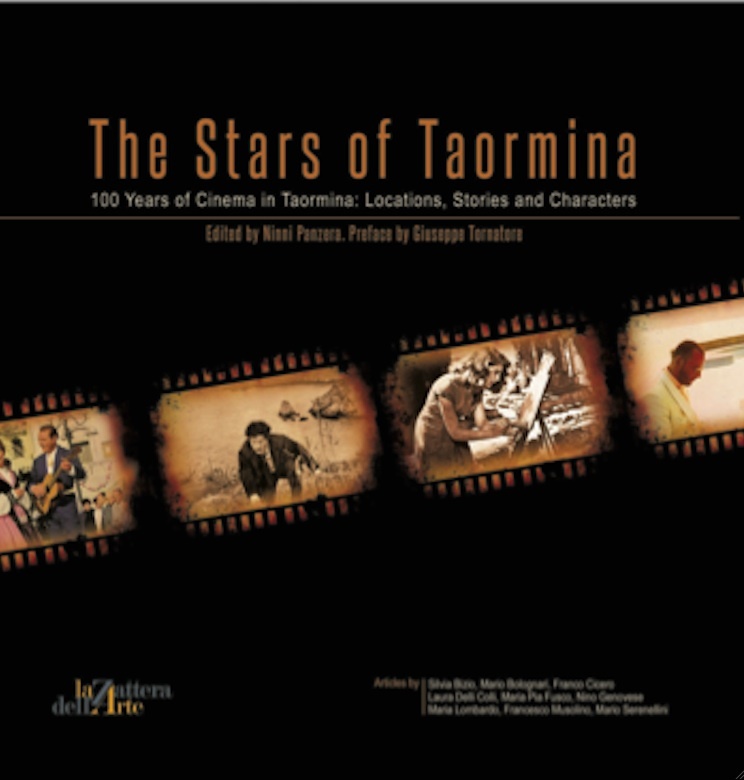 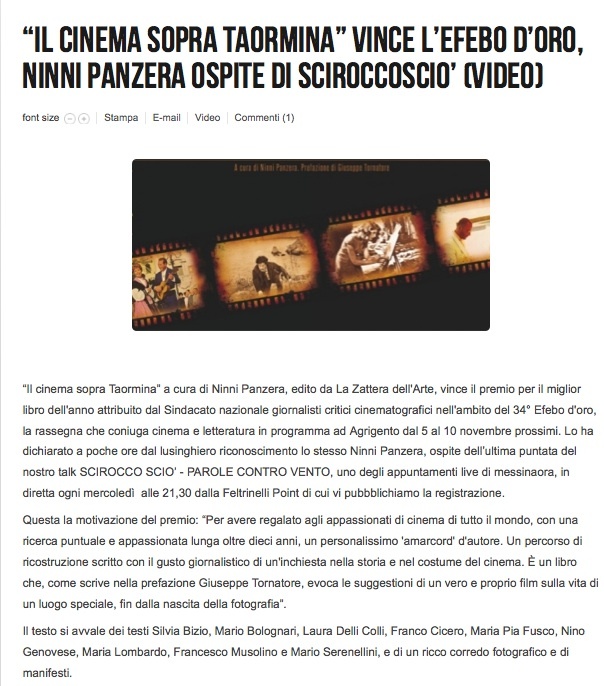 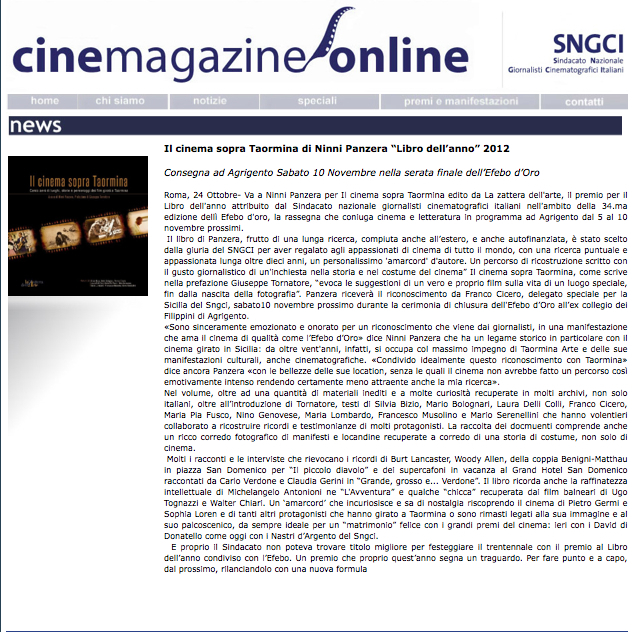 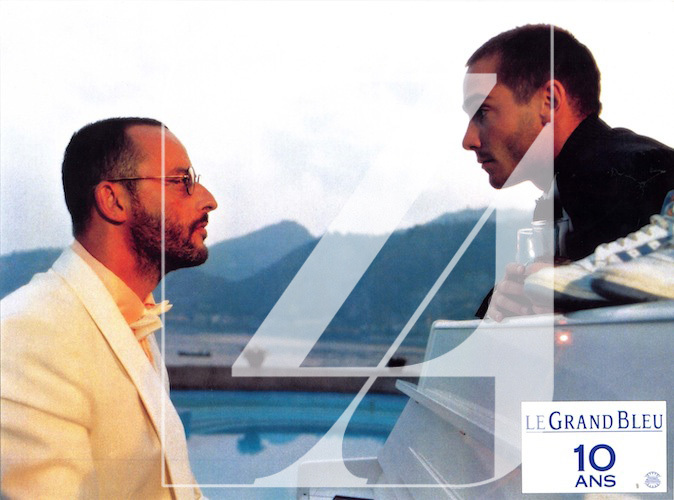 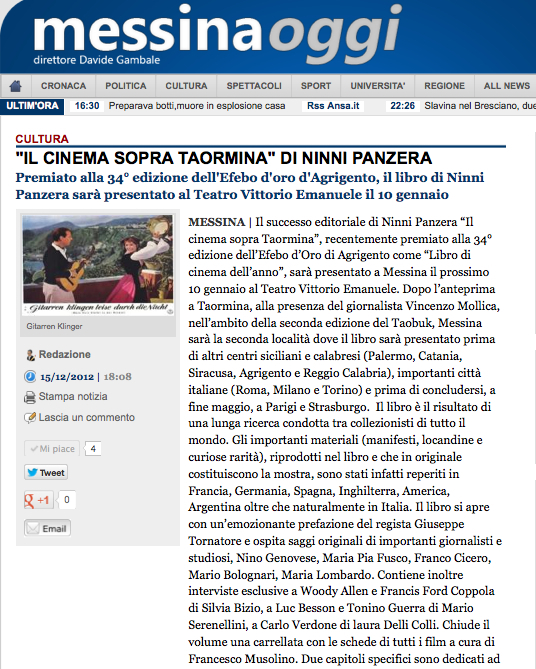 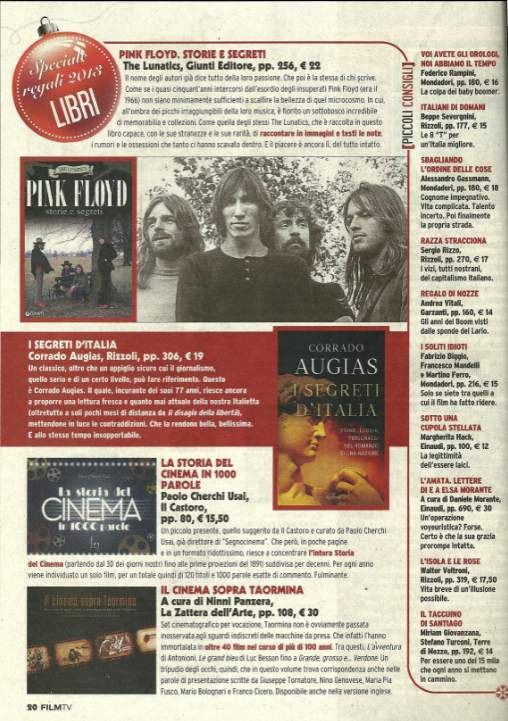 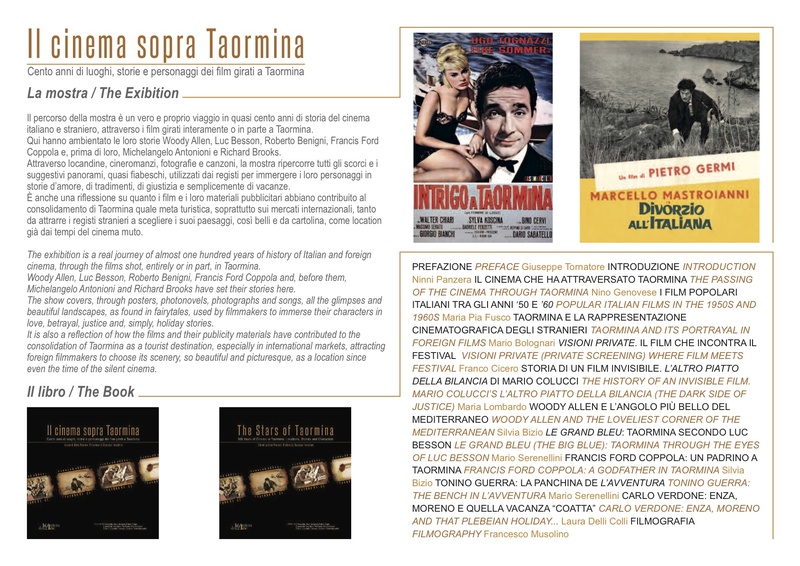 The catalog is organized by Ninni Panzera, the preface was written by Giuseppe Tornatore and contains exclusive interviews and essays by Silvia Bizio, Nino Genovese, Mario Bolognari, Frank Cicero, Maria Lombardo, Laura Delli Colli, Francesco Musolino, Mario Serenellini. 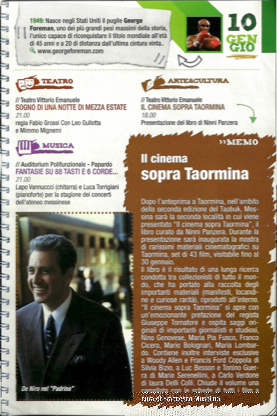 The format is 28x 28 cm with 108 pages. 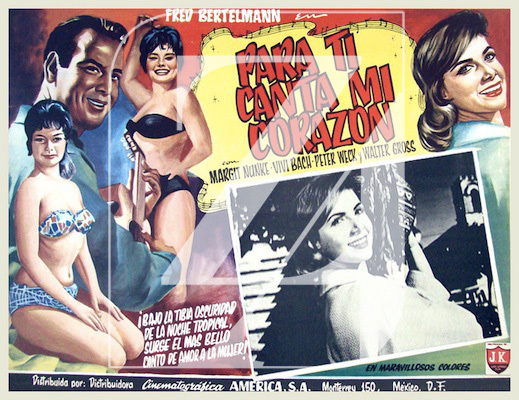 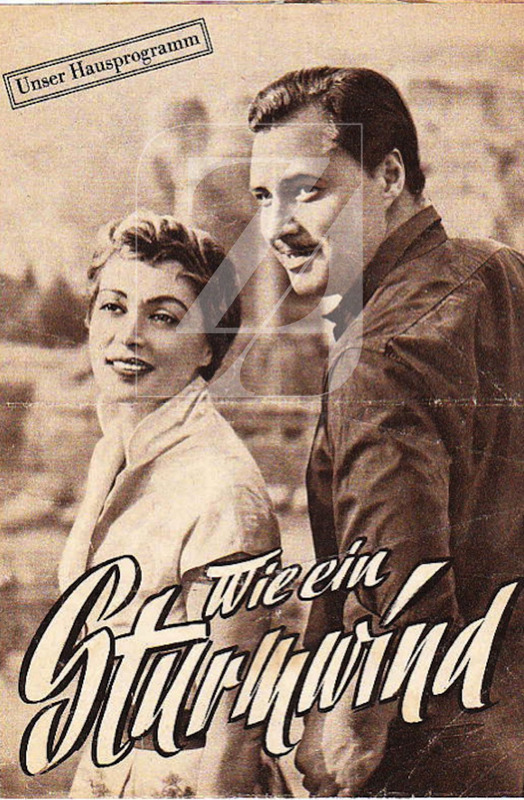 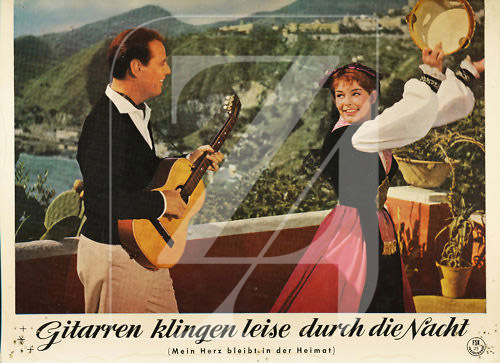 It contains about a hundred photos, some of which are reproductions of original posters. 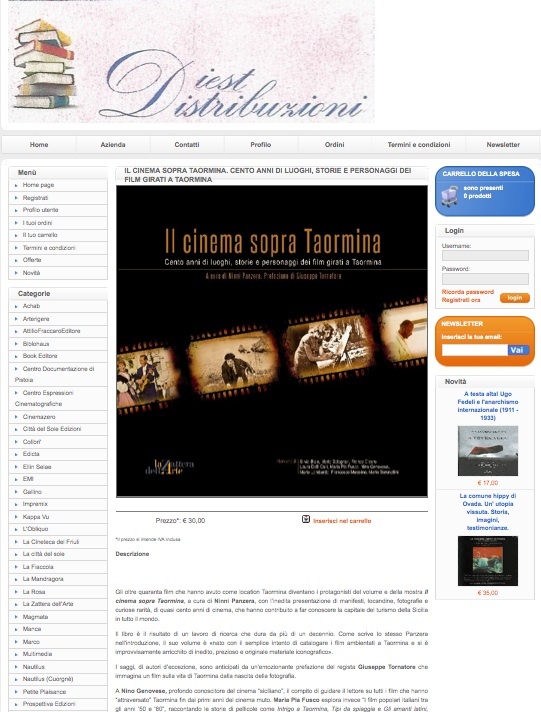 book the book from this site you can buy it at the time of release, the special price of 24.00 including postage in Italy. 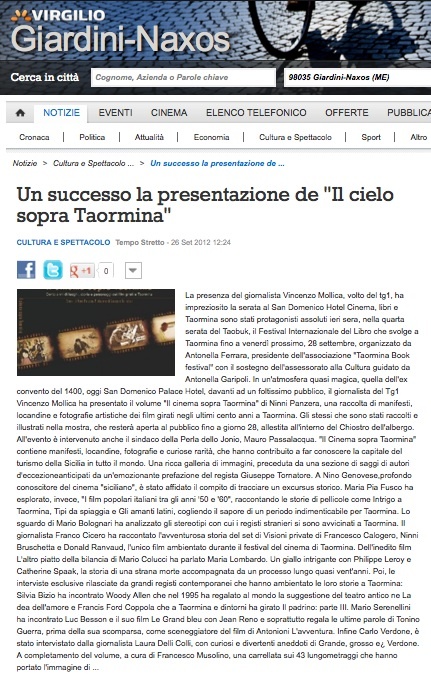 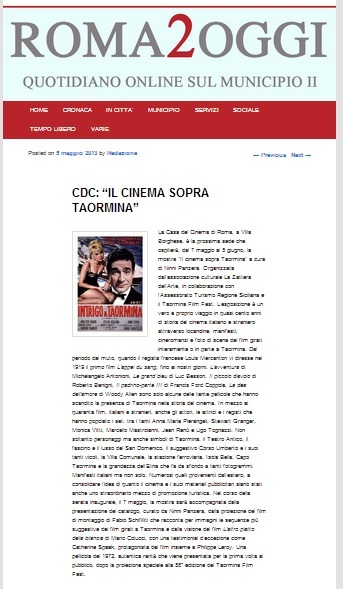 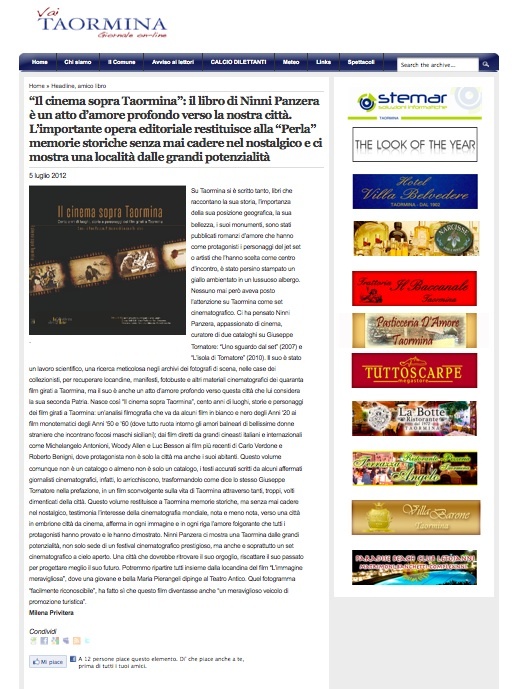 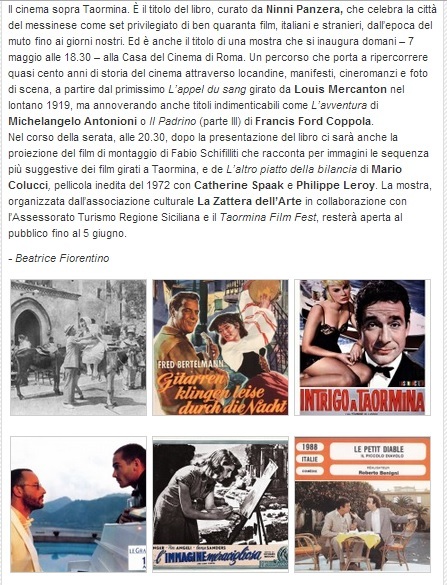 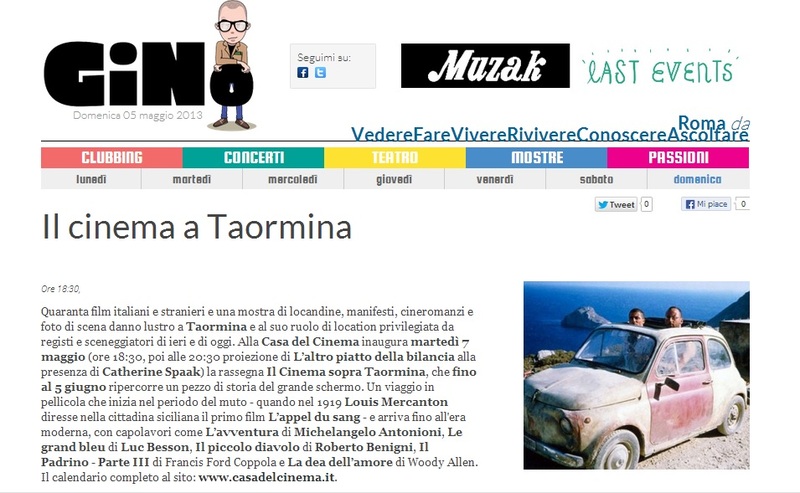 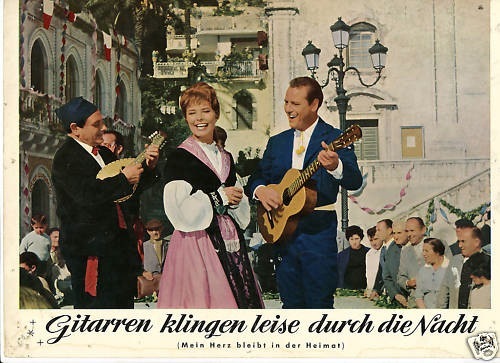 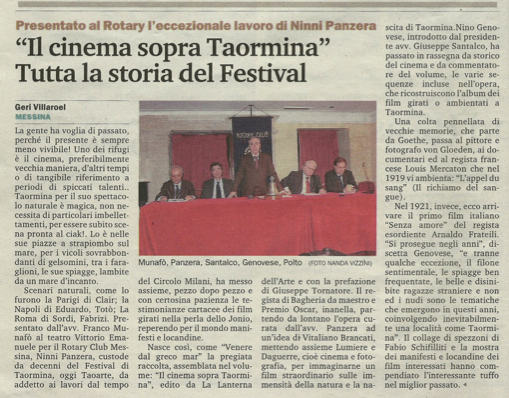 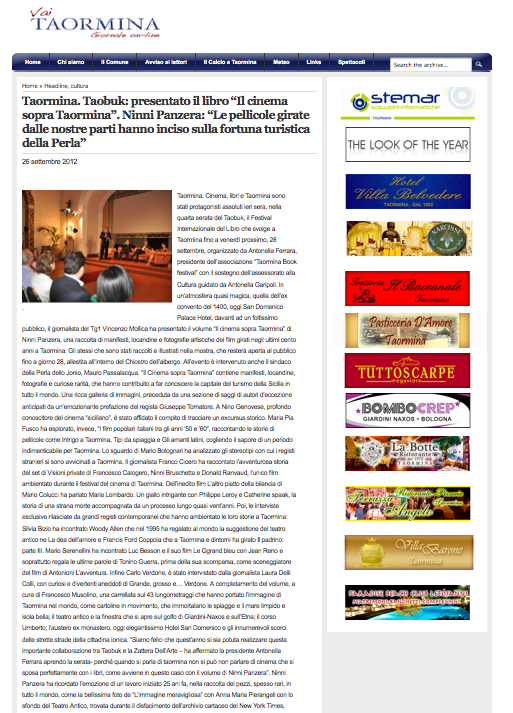 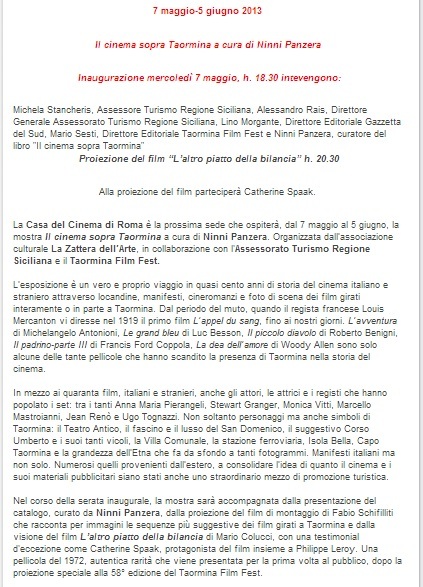 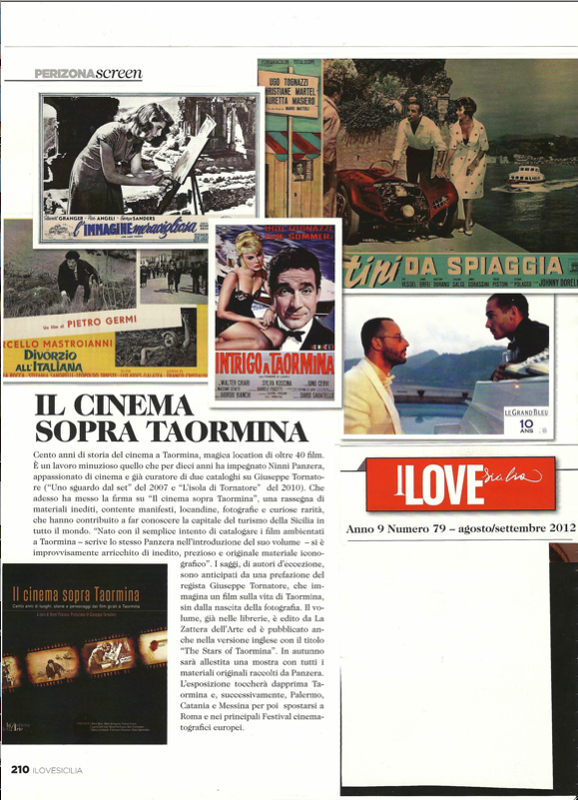 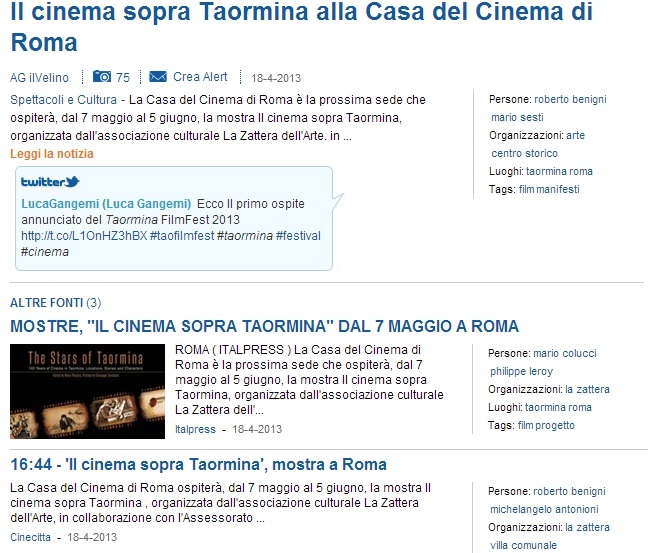 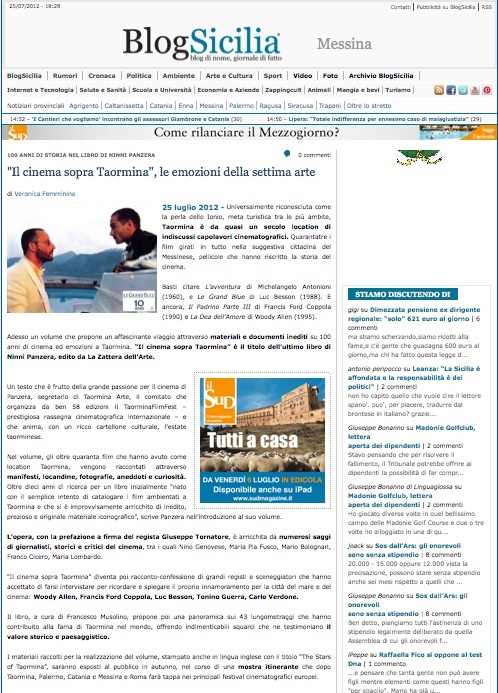 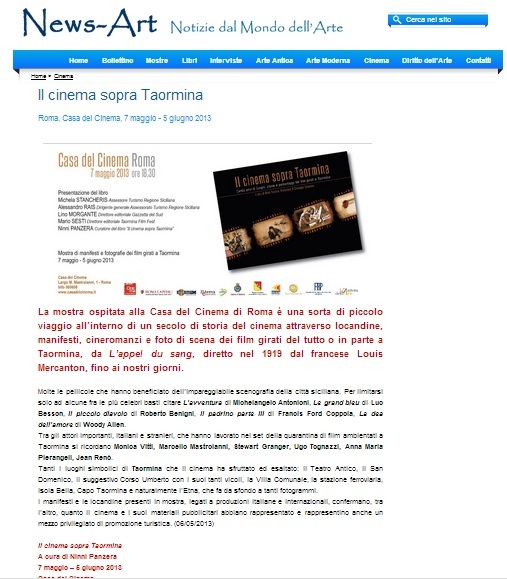 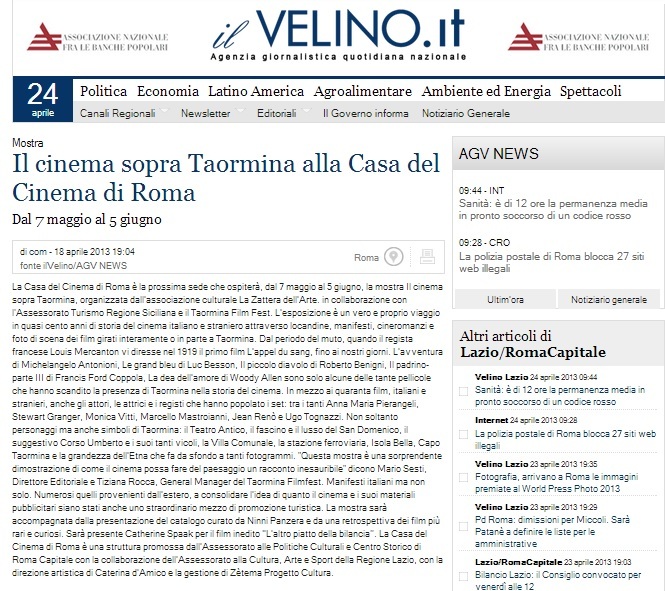 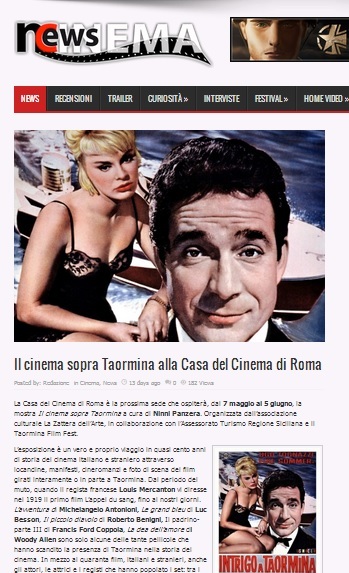 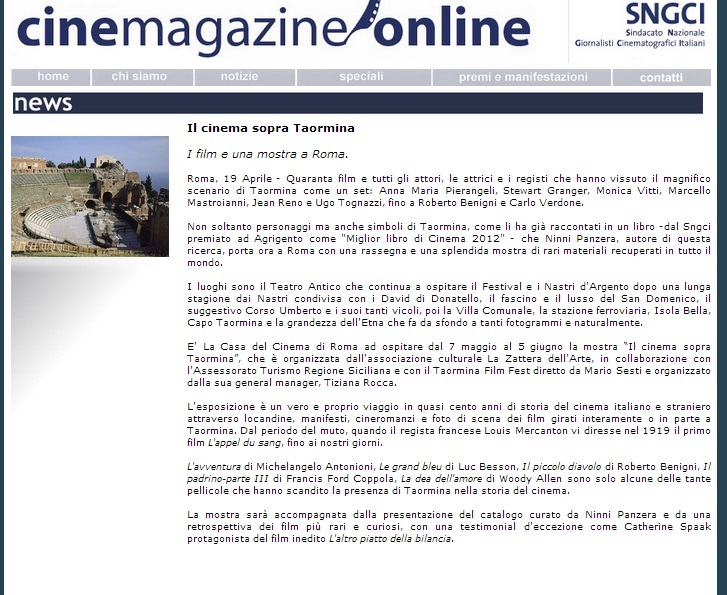 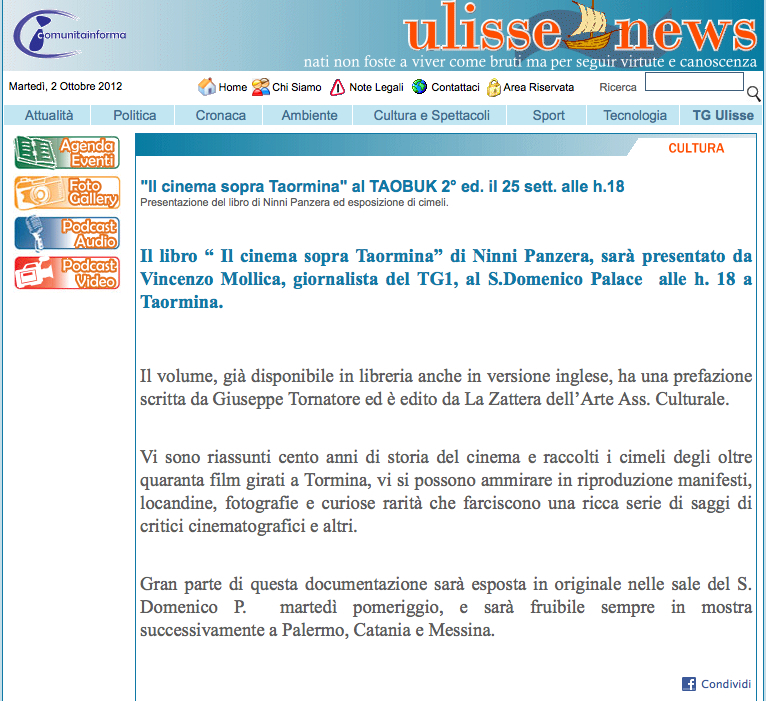 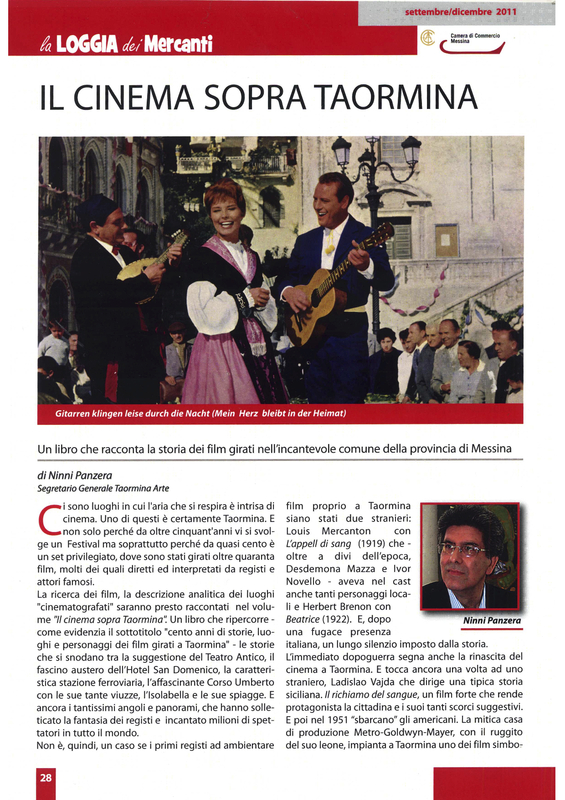 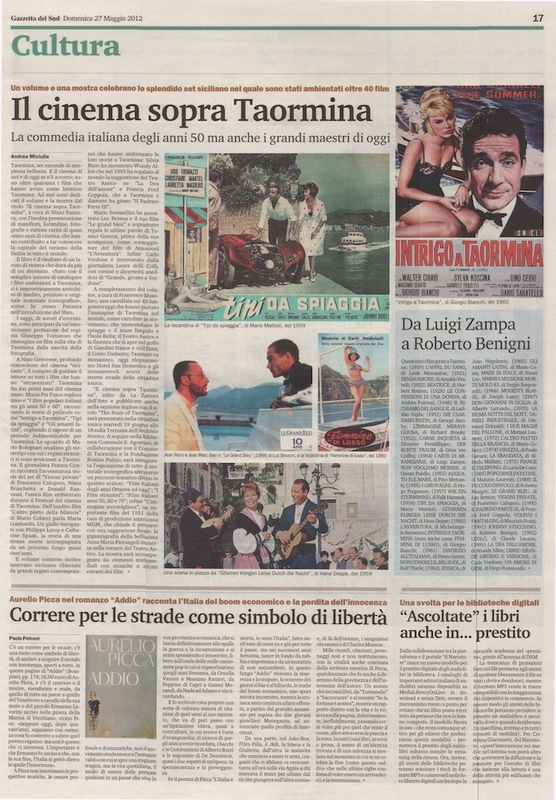 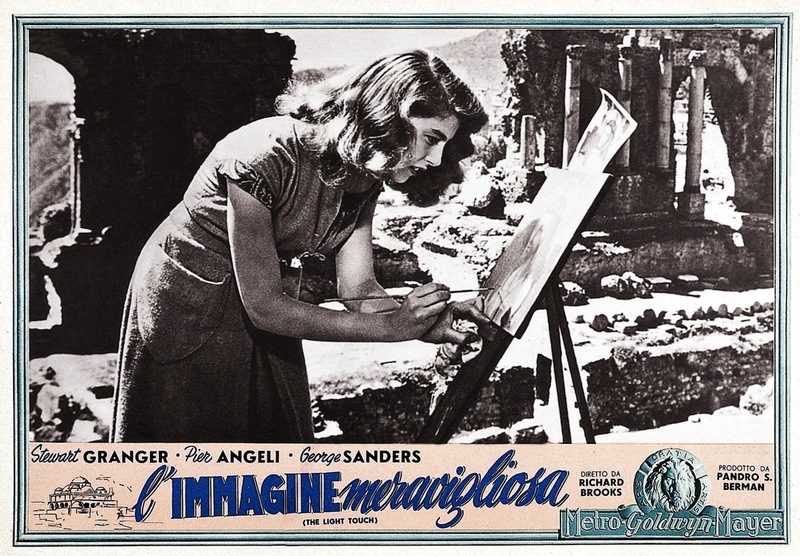 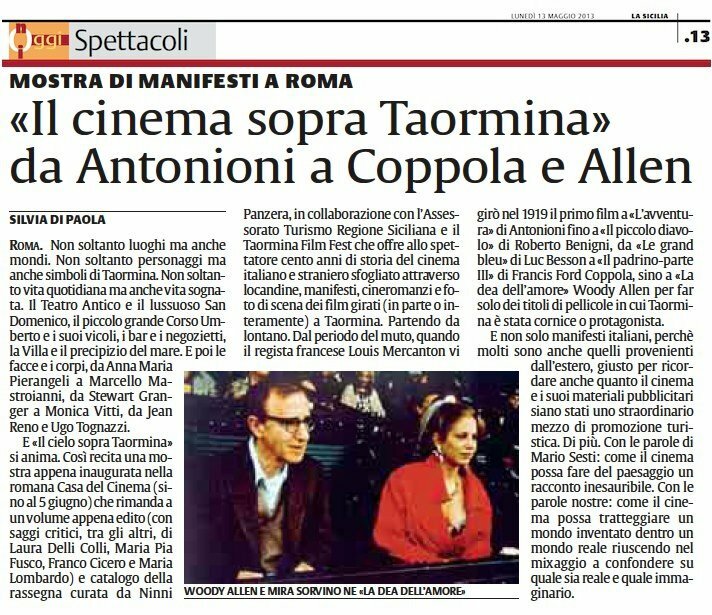 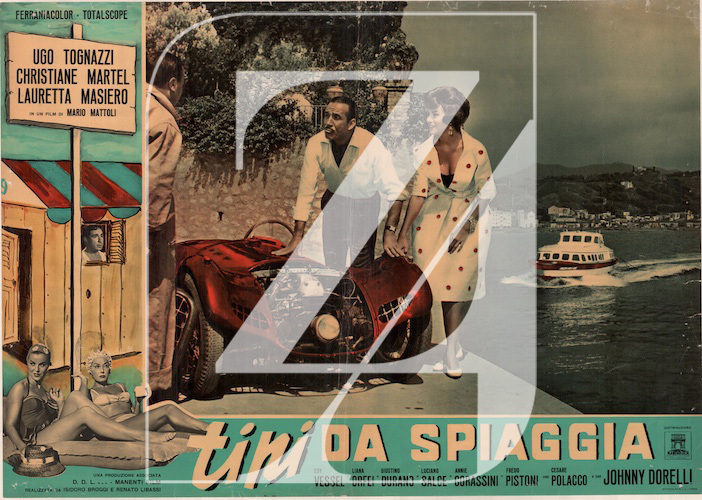 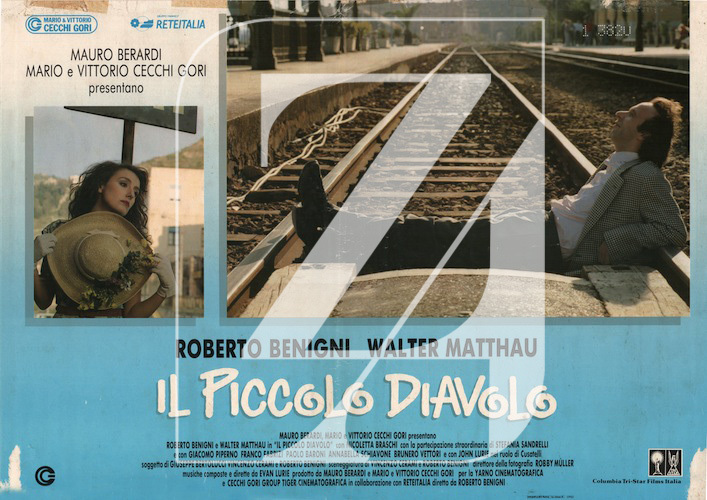 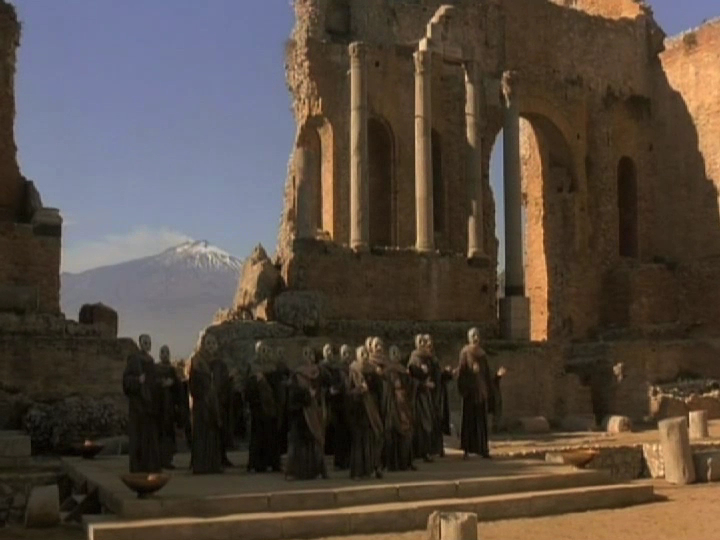 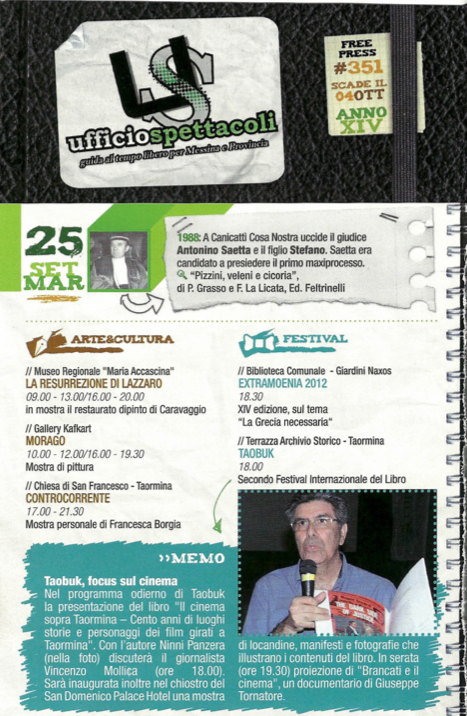 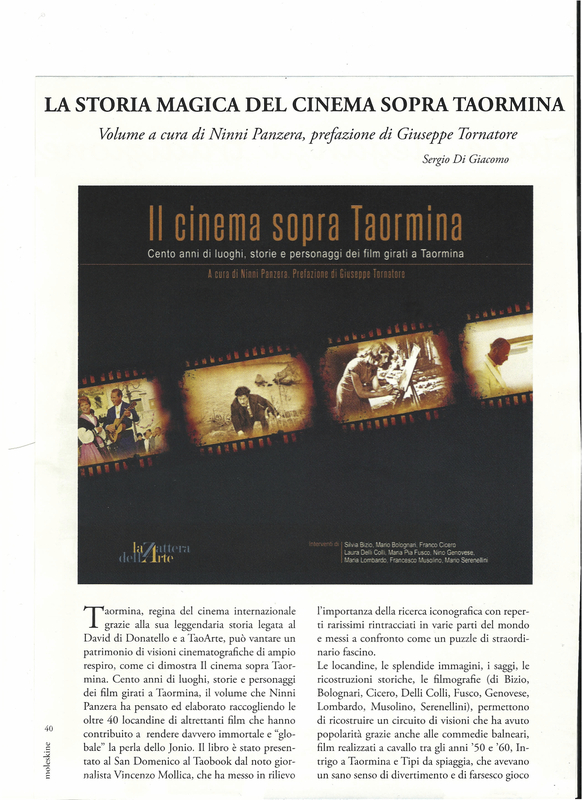 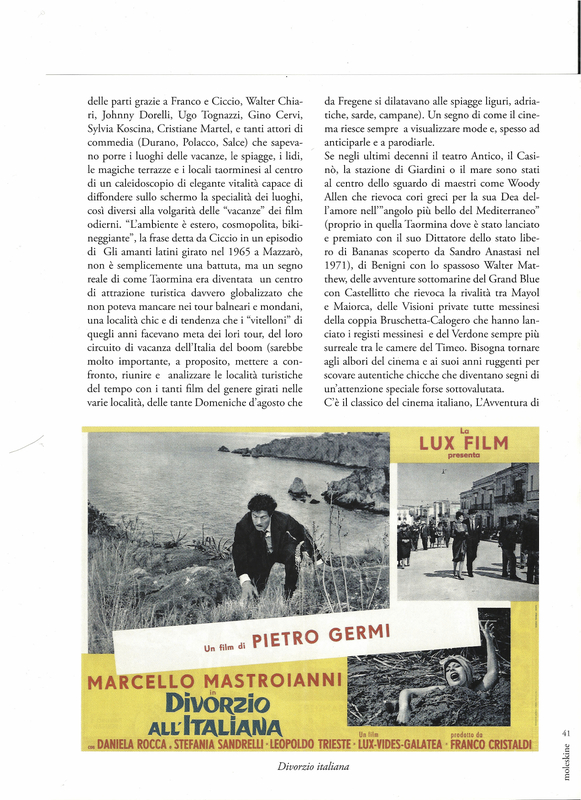 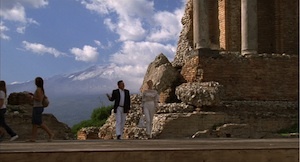 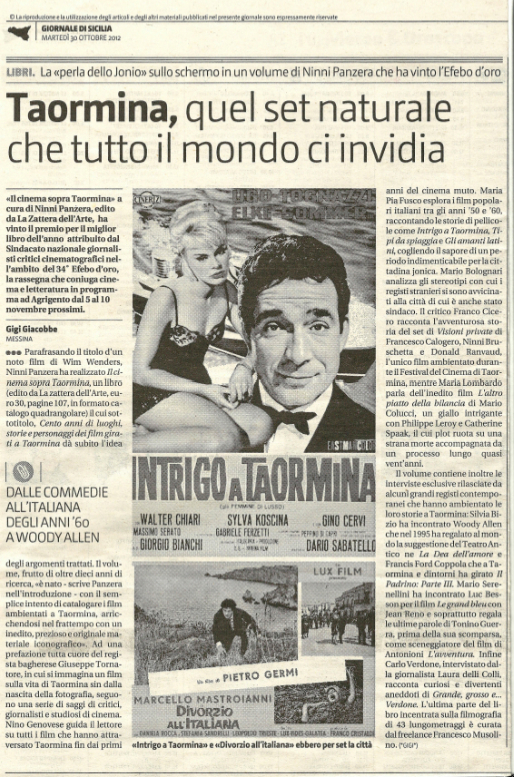 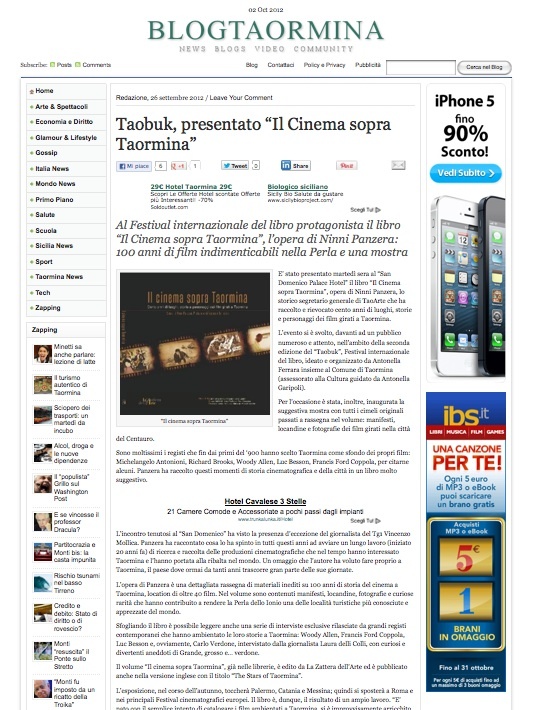 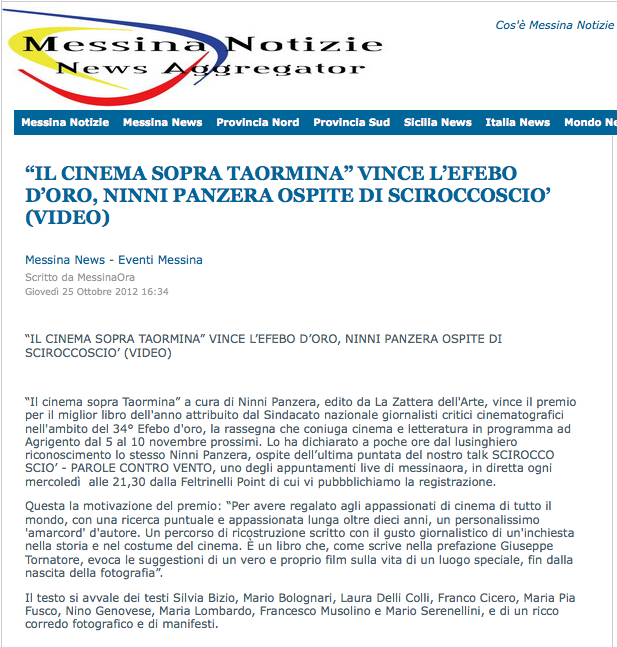 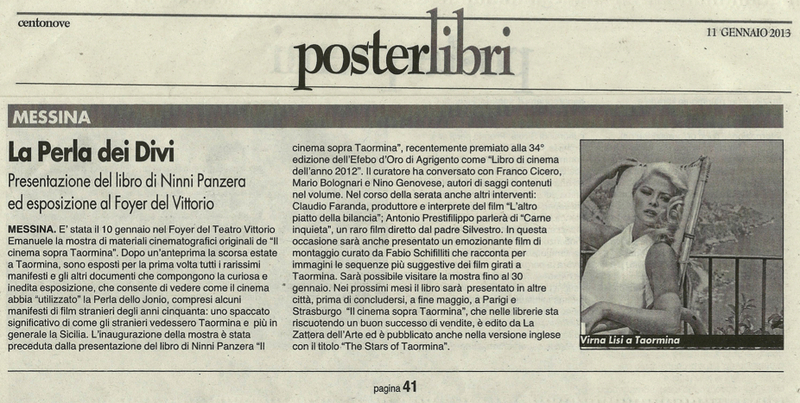 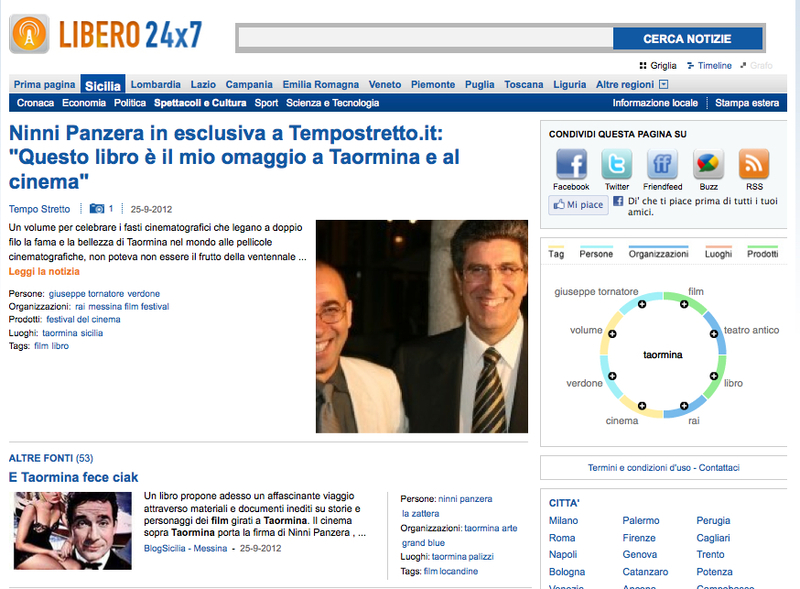 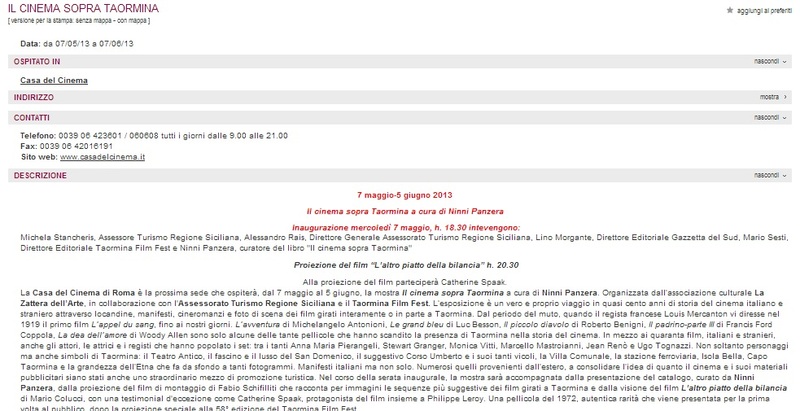 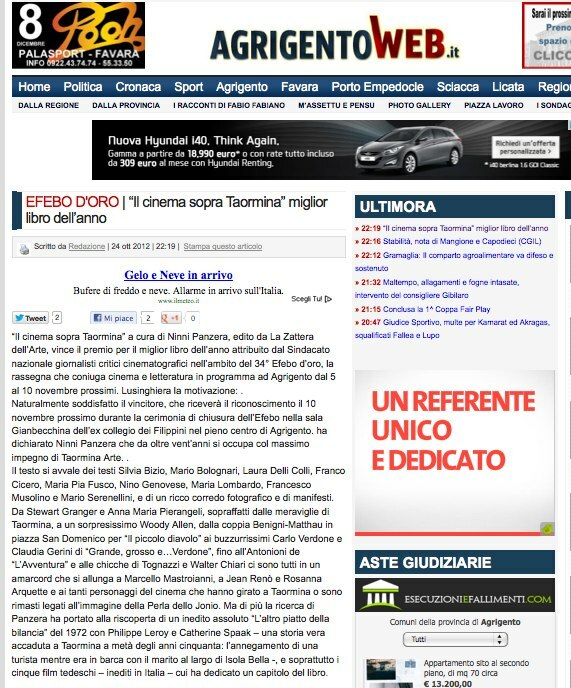 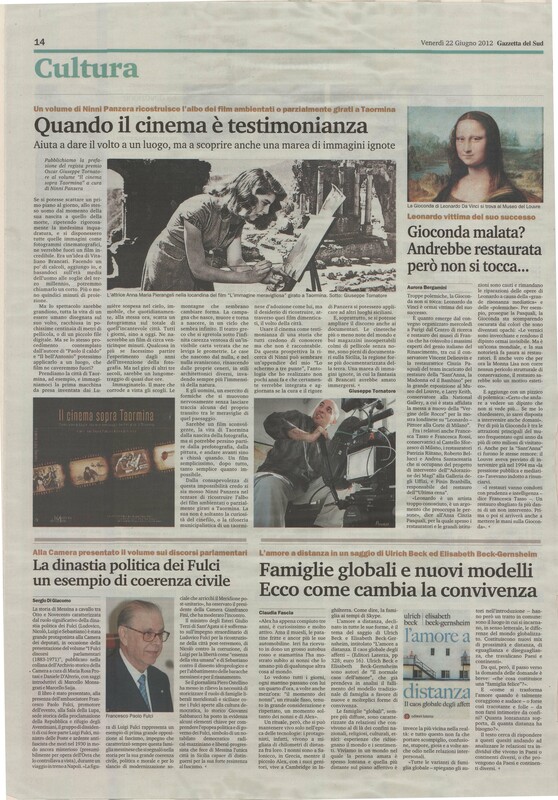 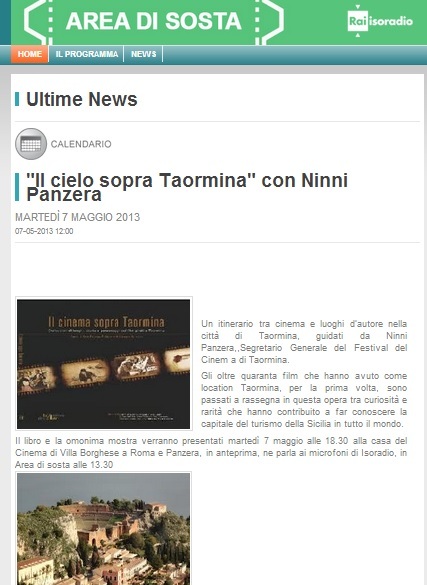 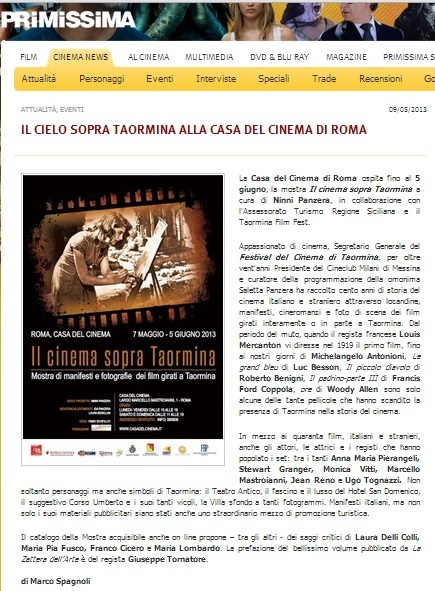 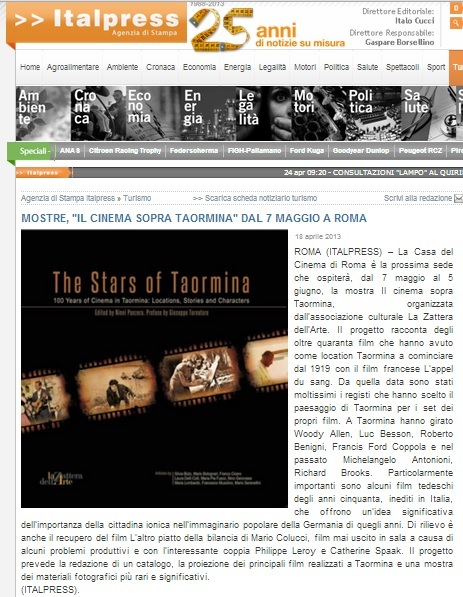 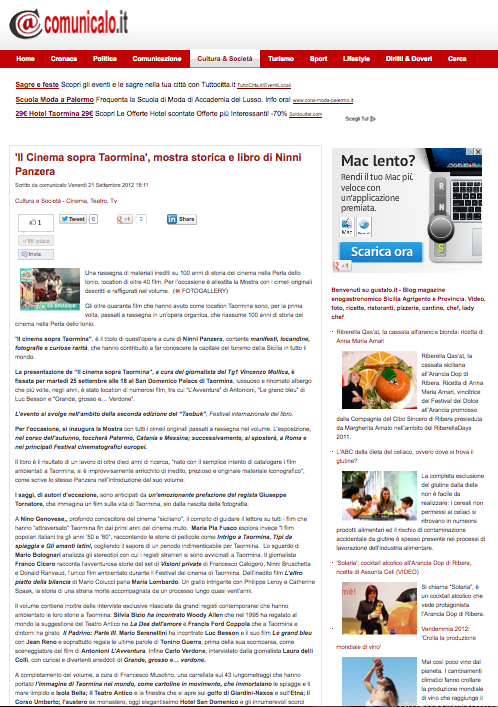 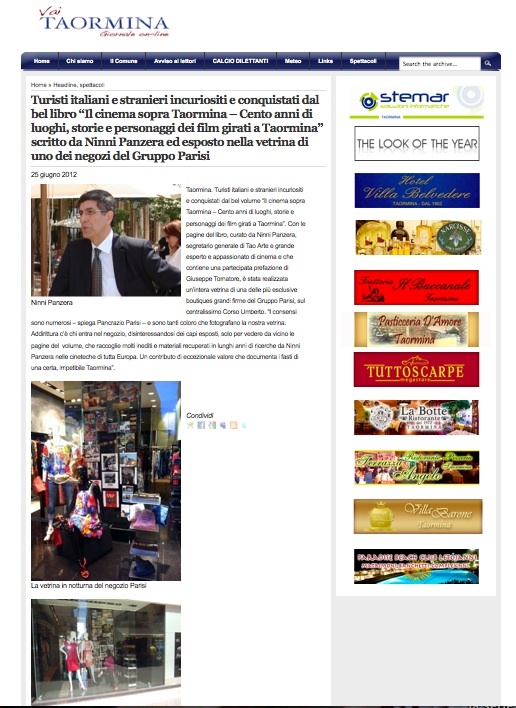 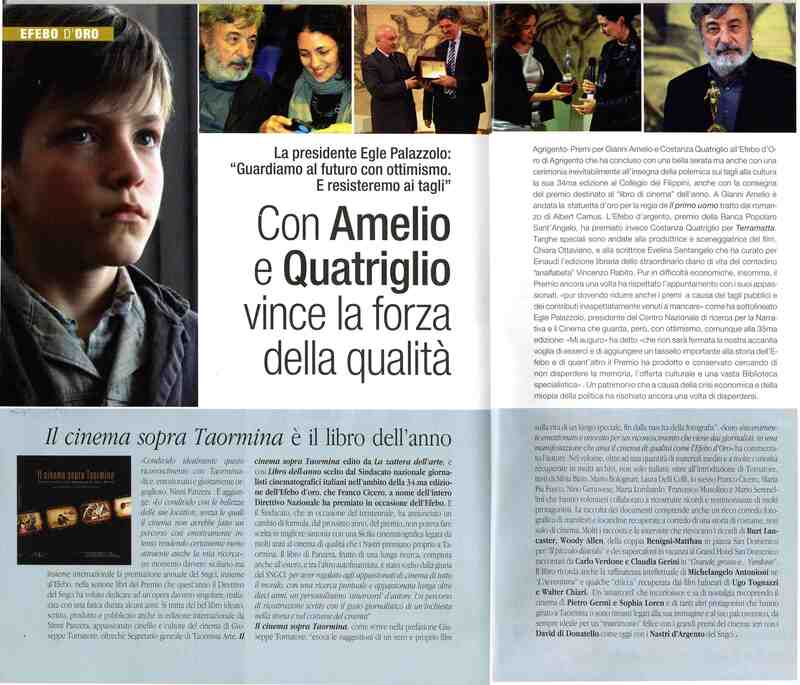 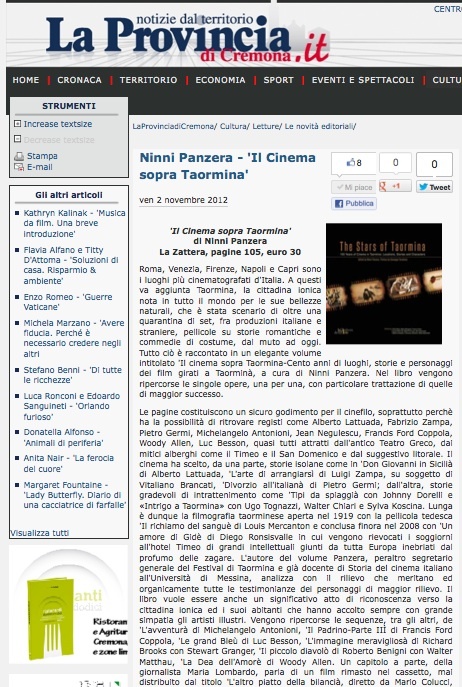 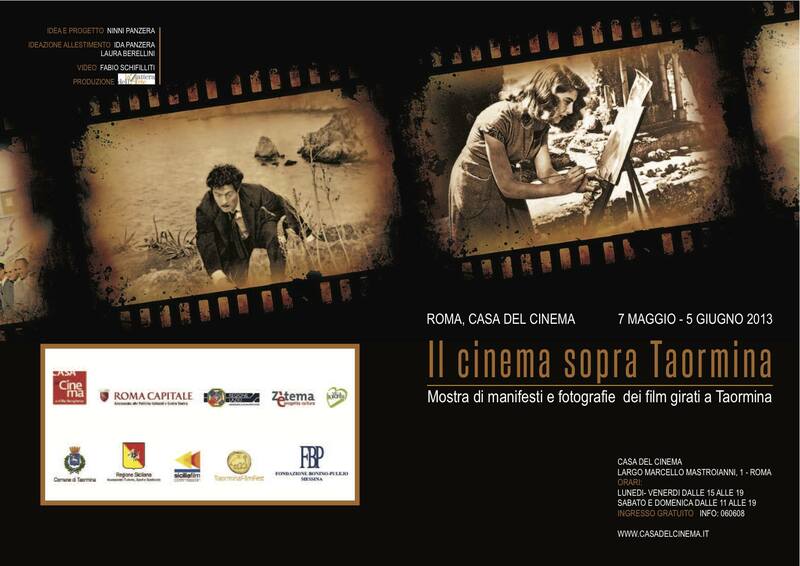 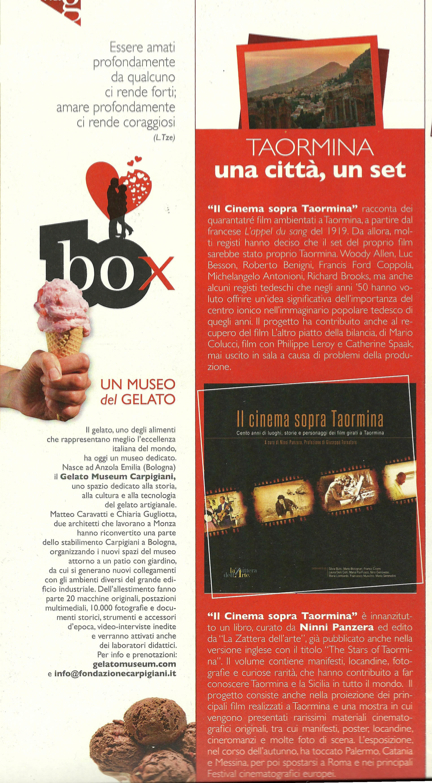 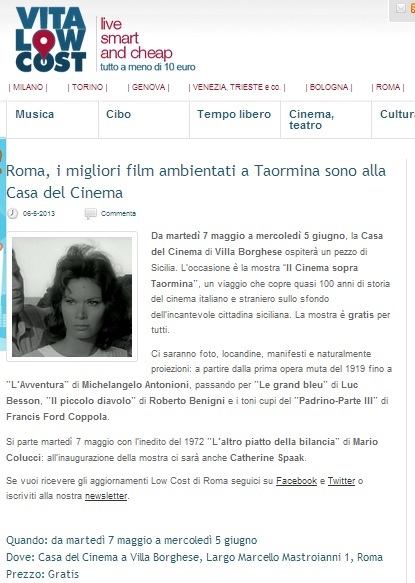 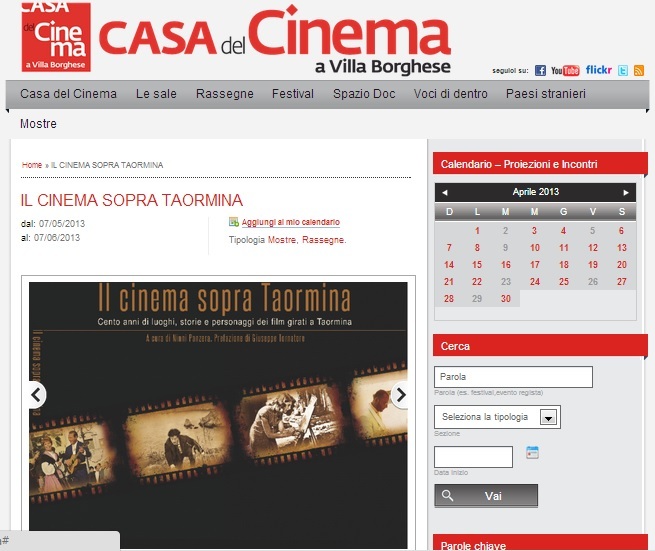 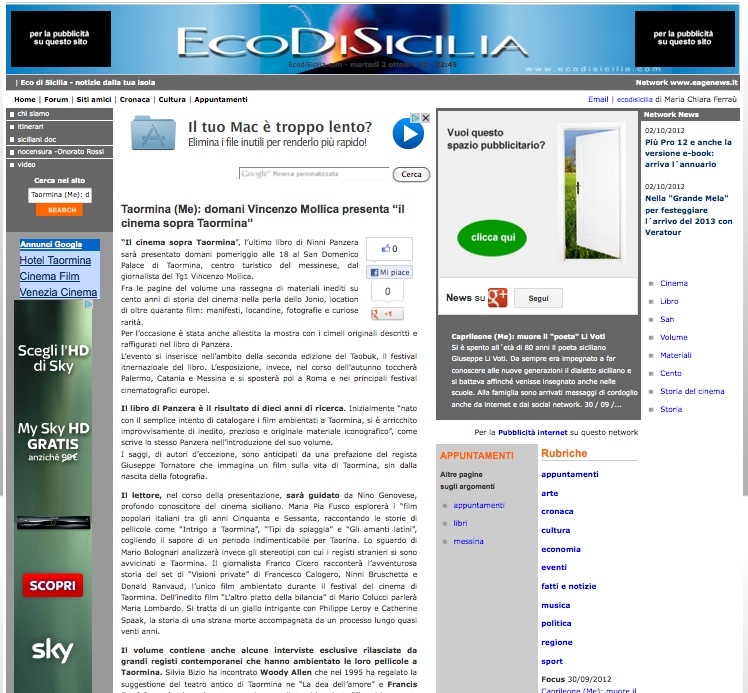 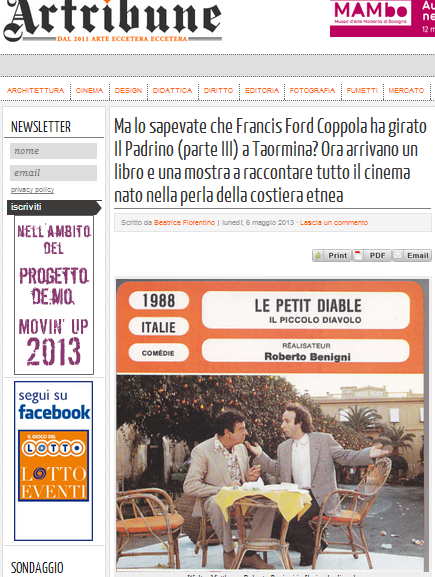 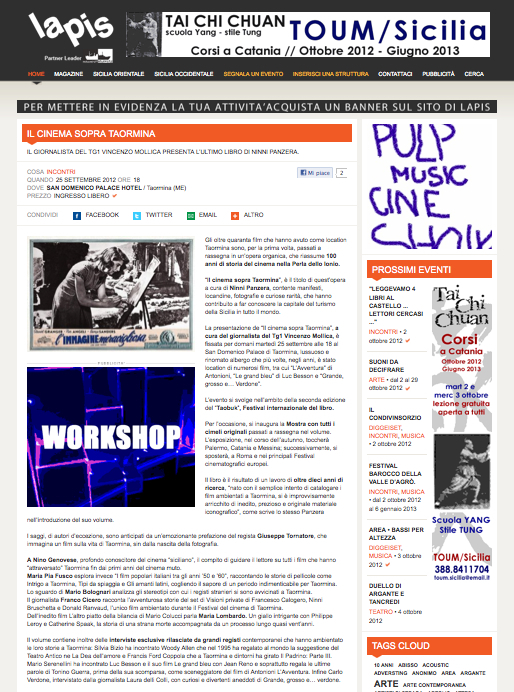 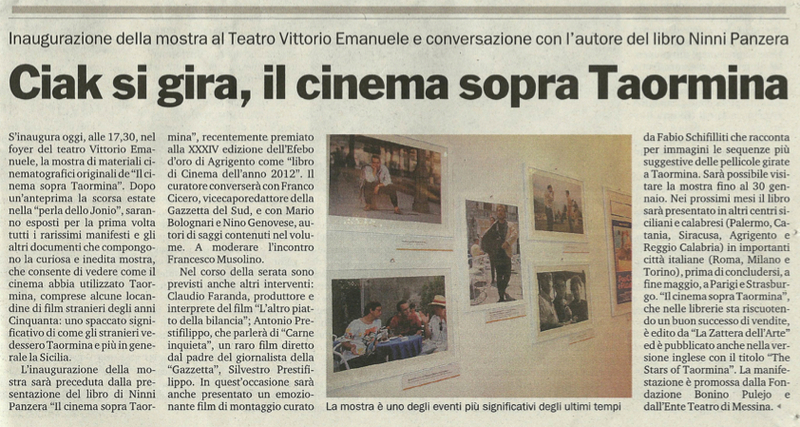 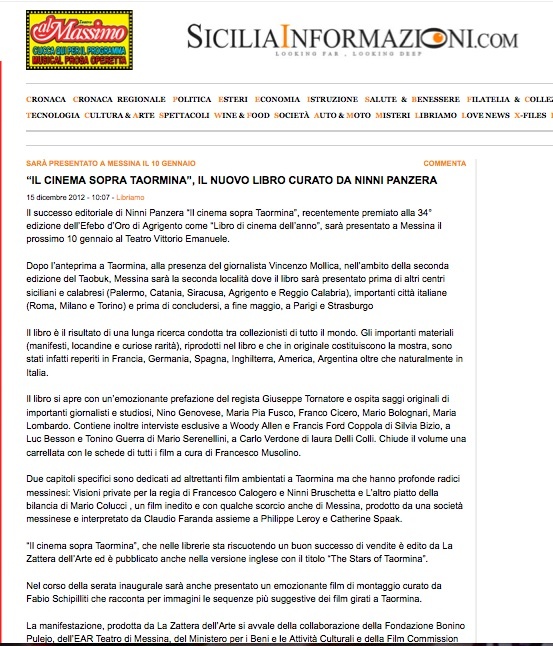 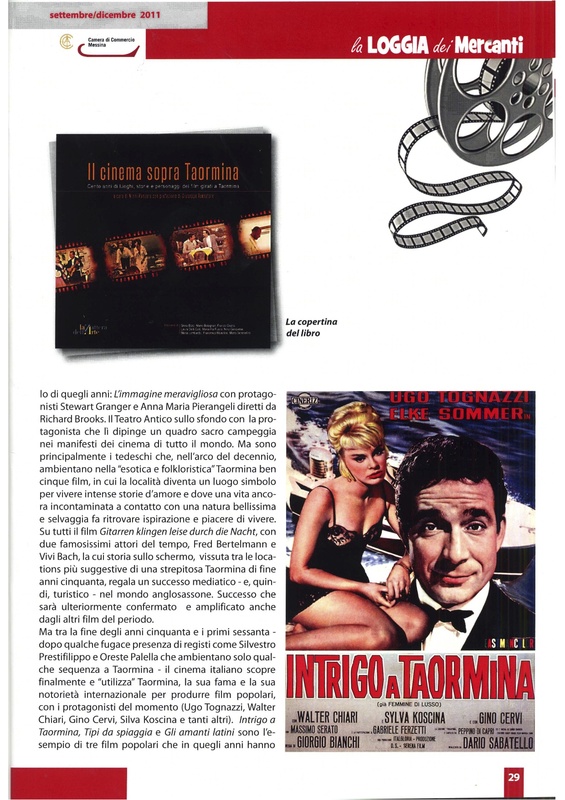 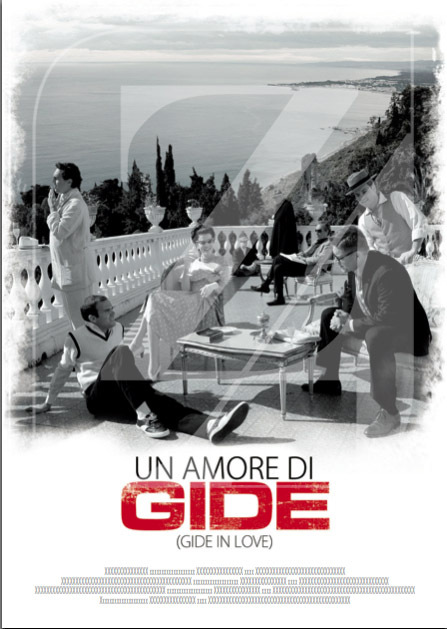 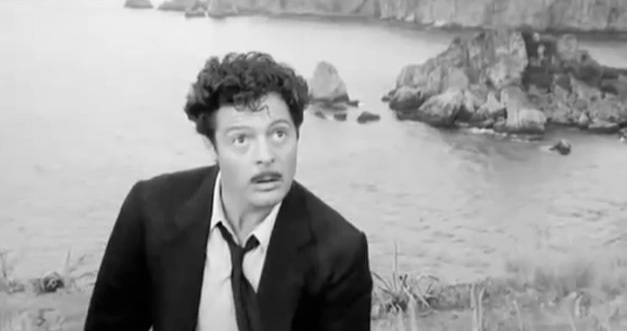 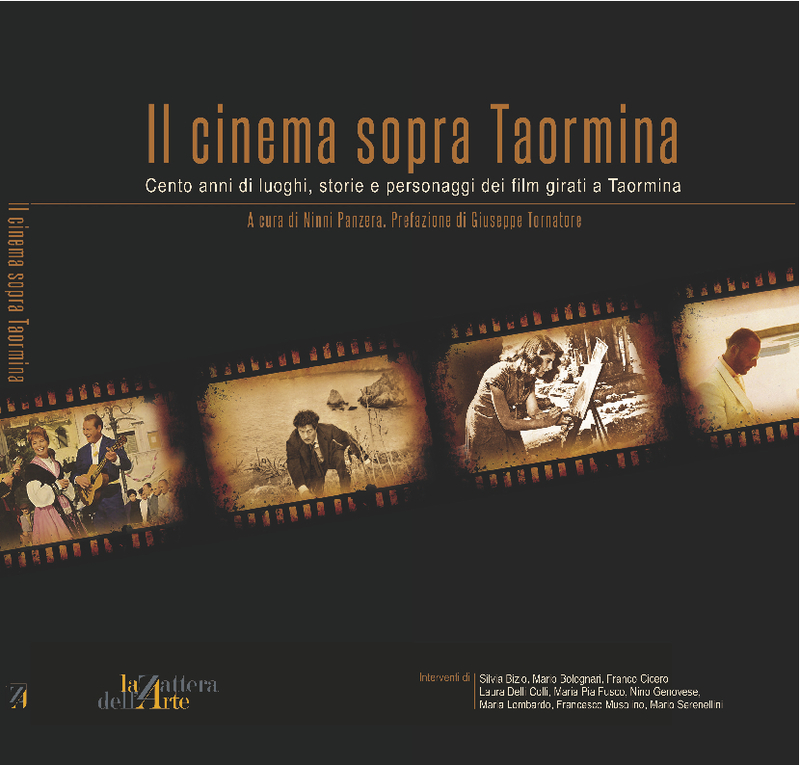 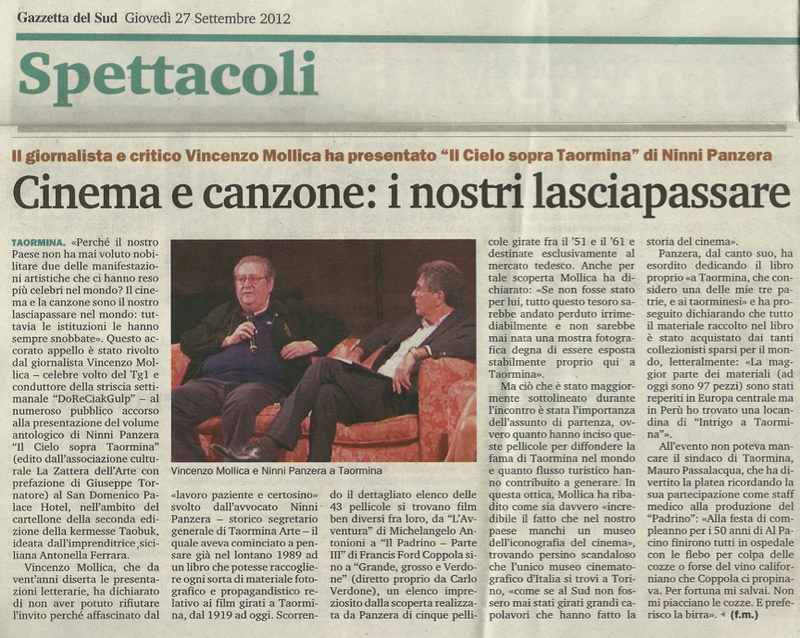 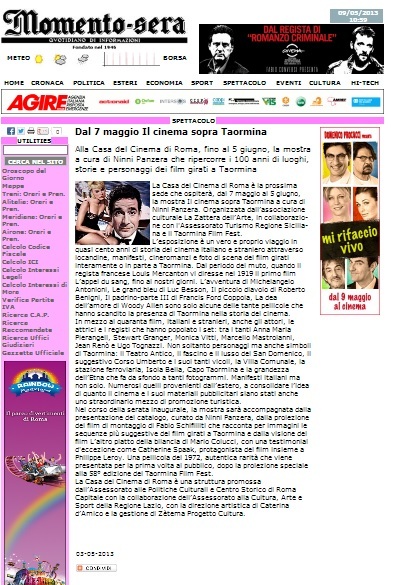 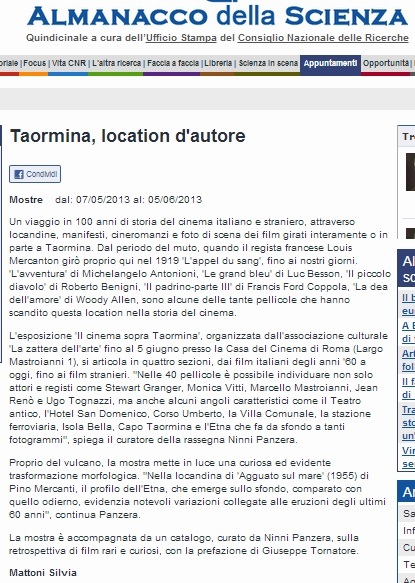 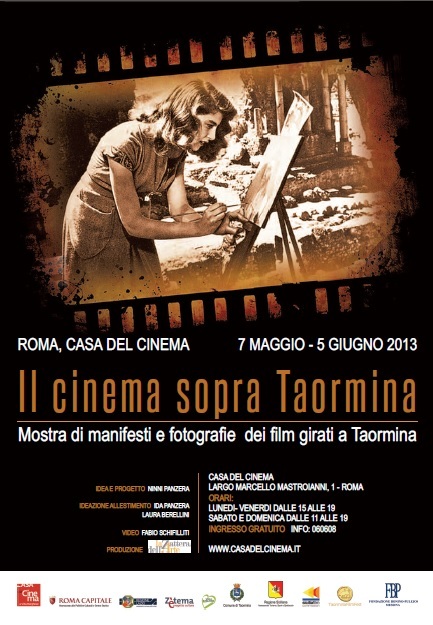 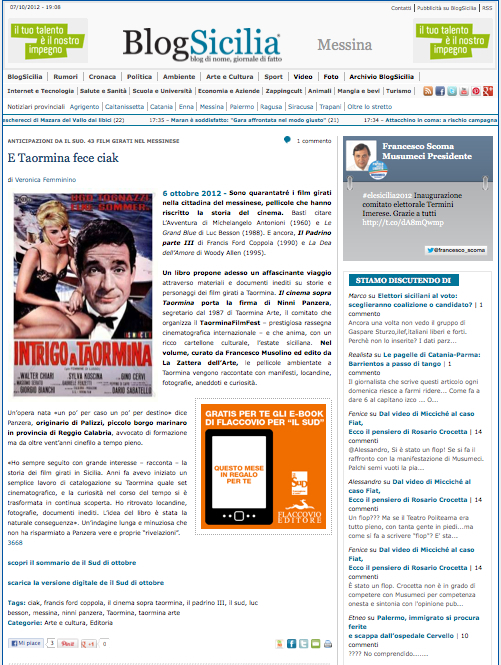 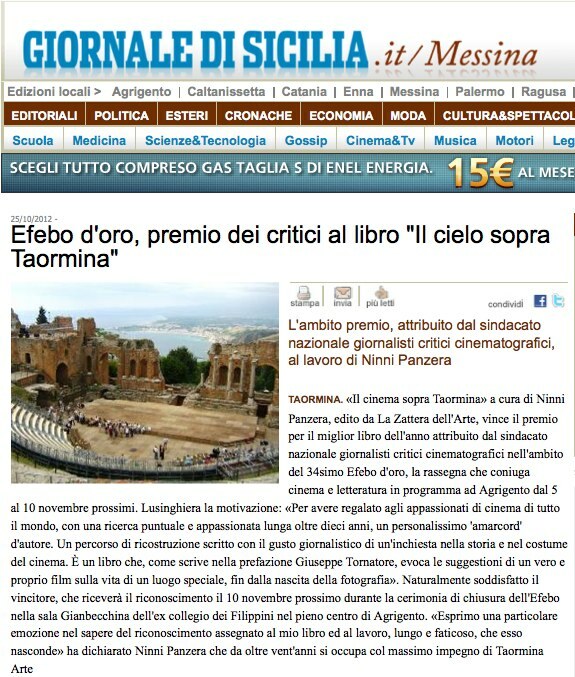 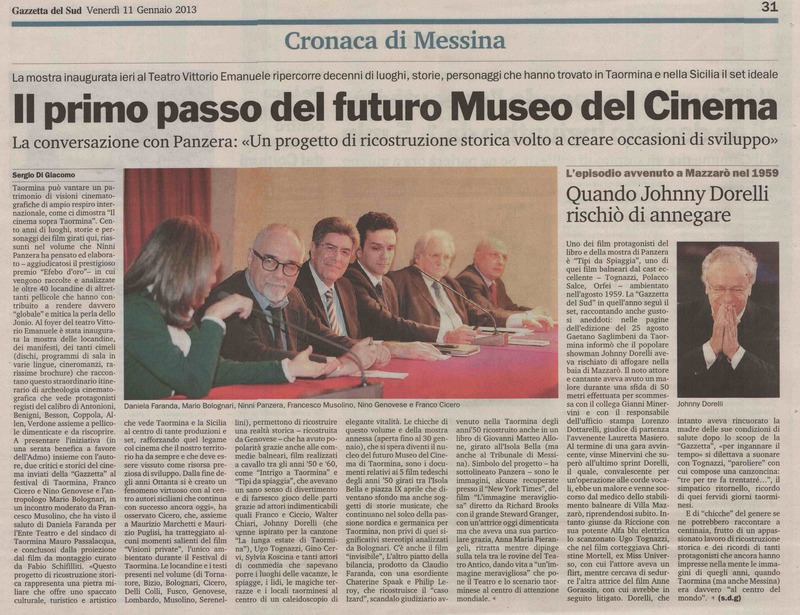 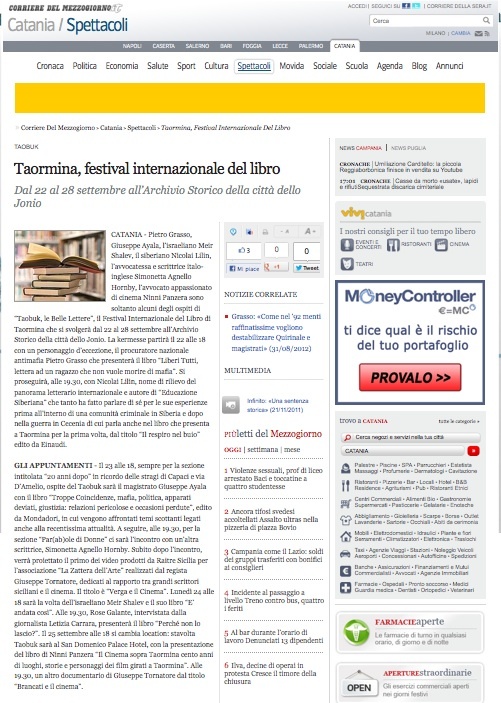 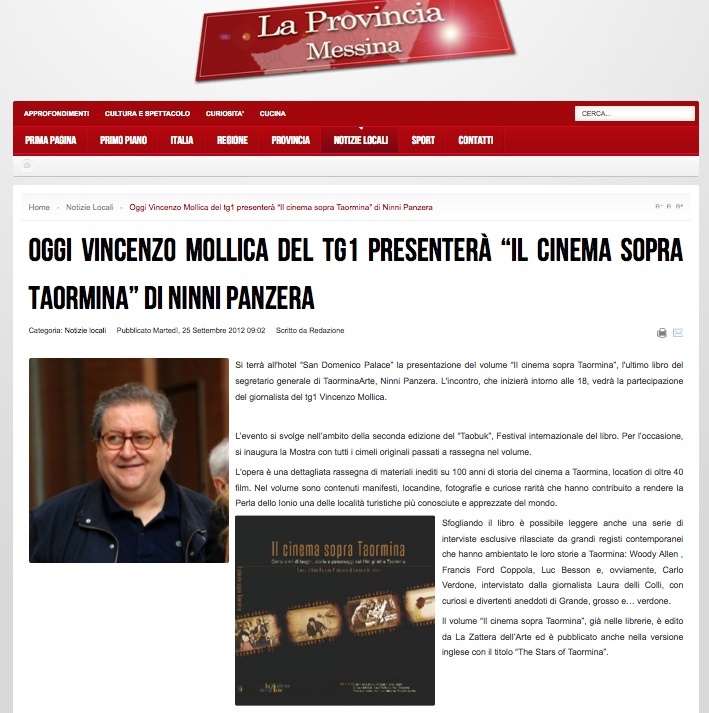 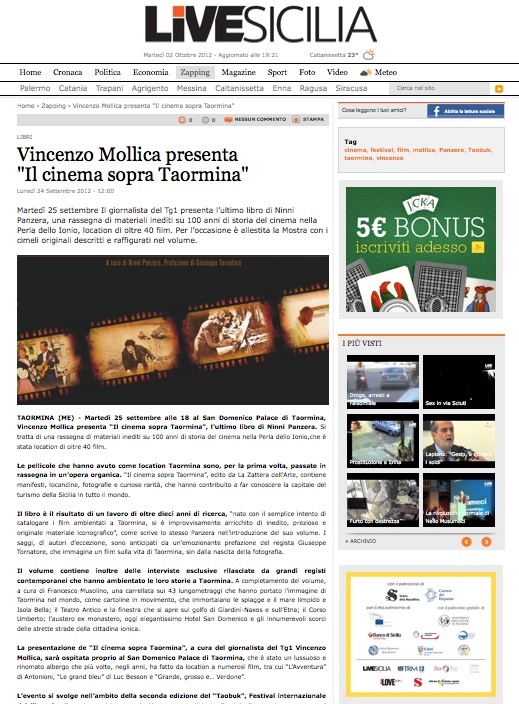 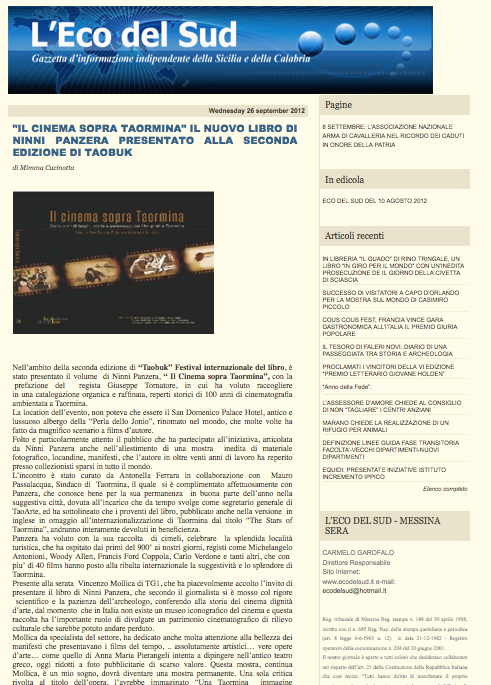 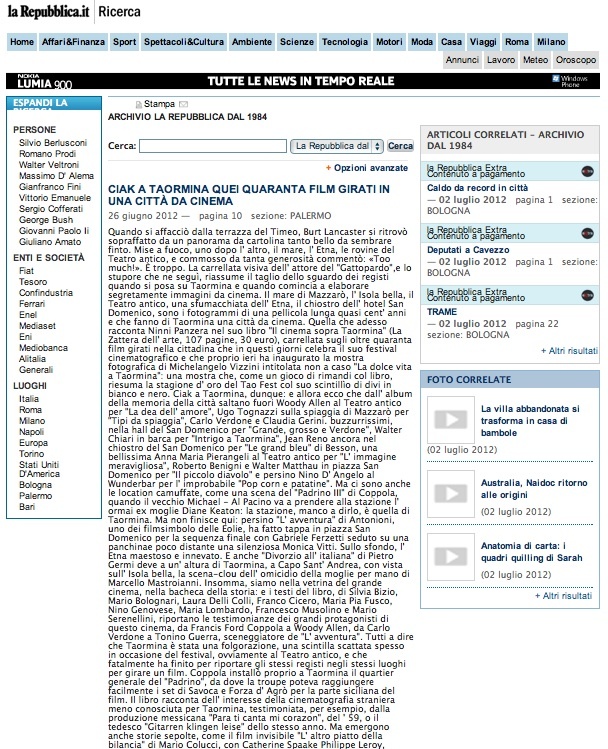 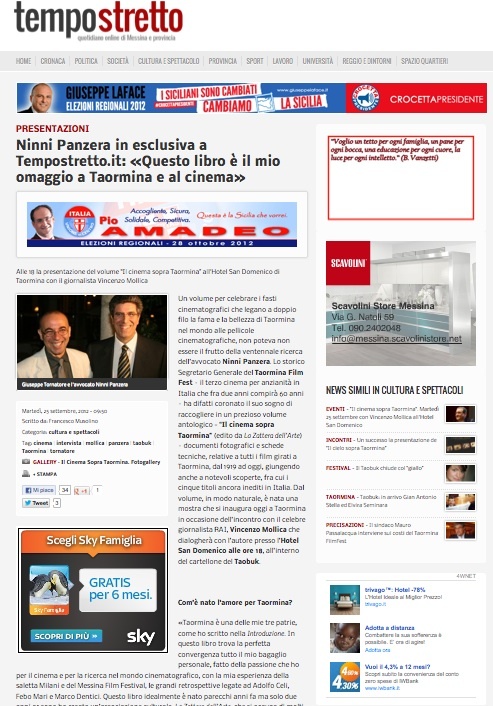 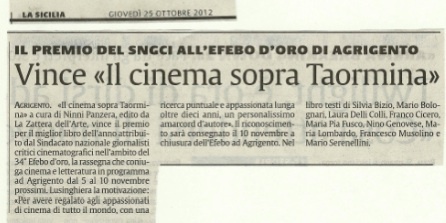 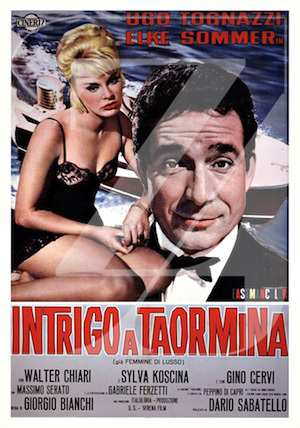 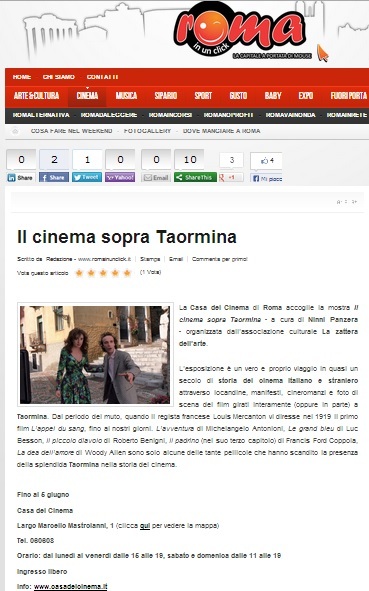 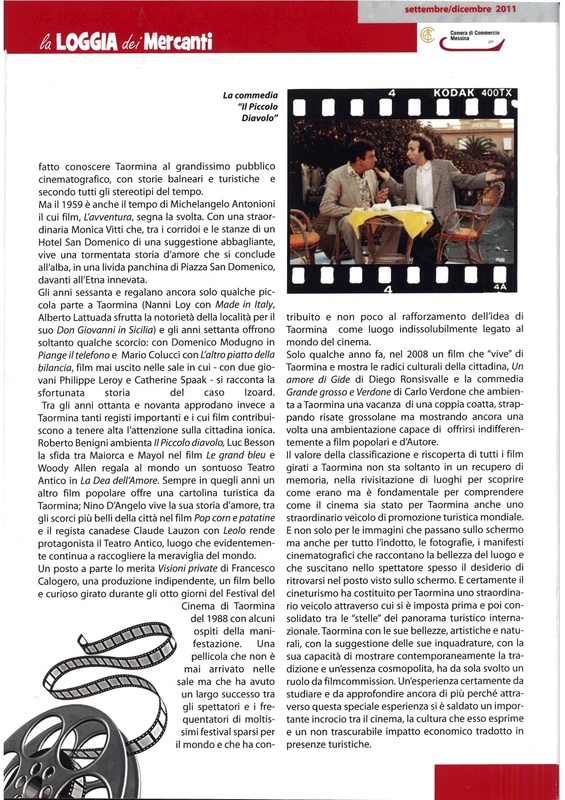 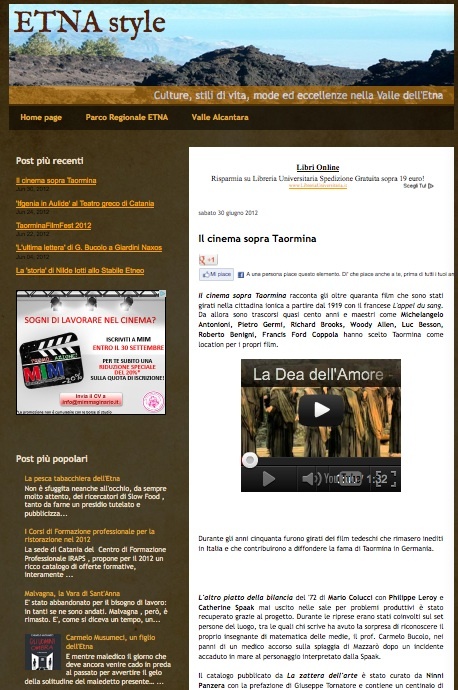 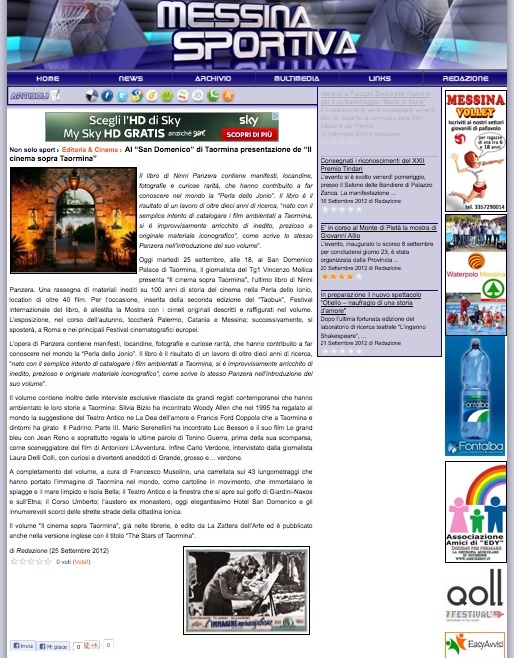 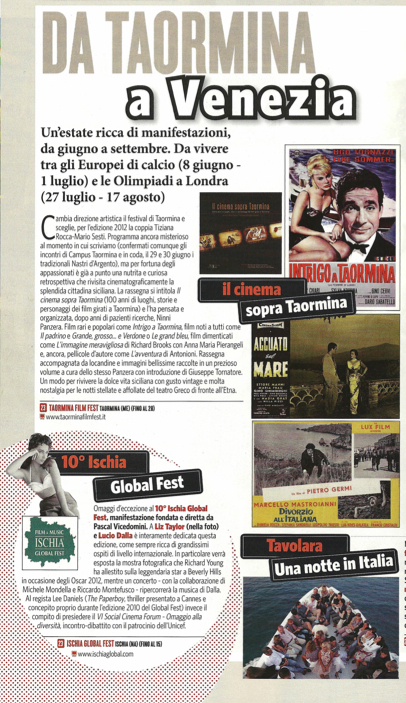 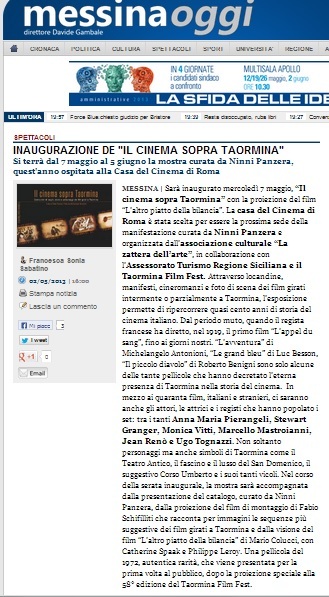 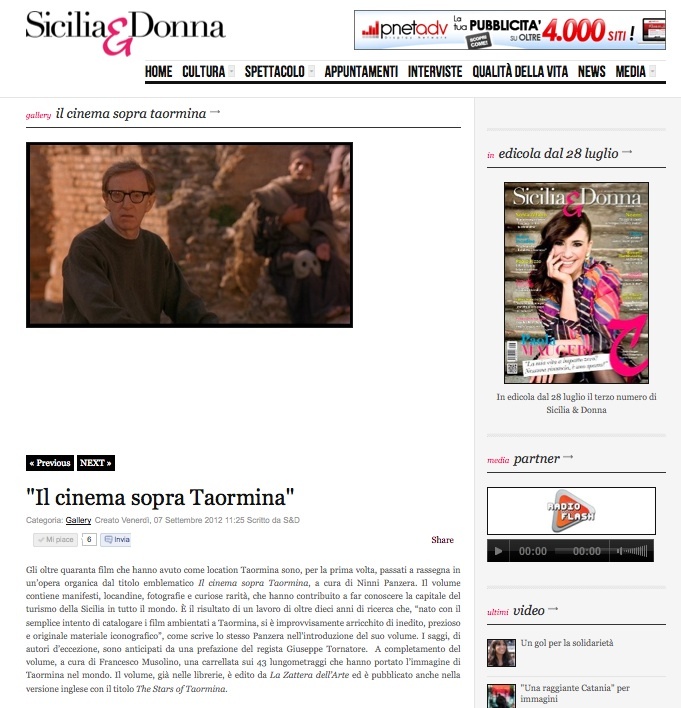 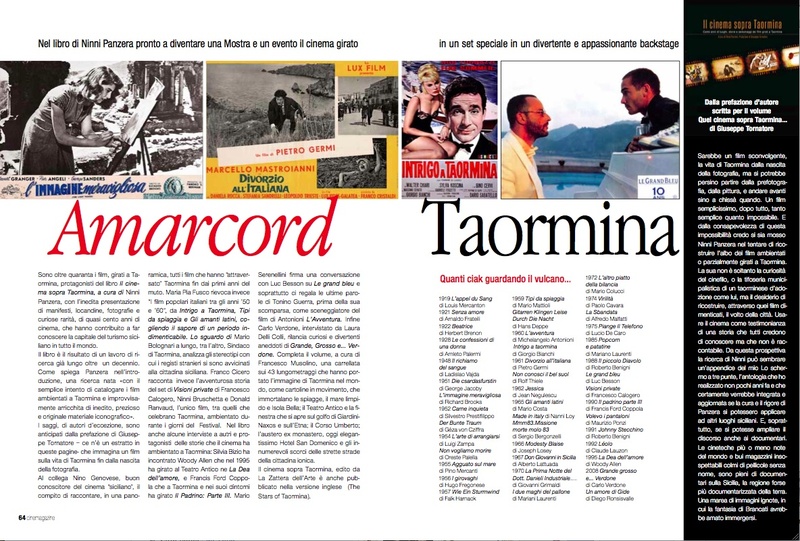 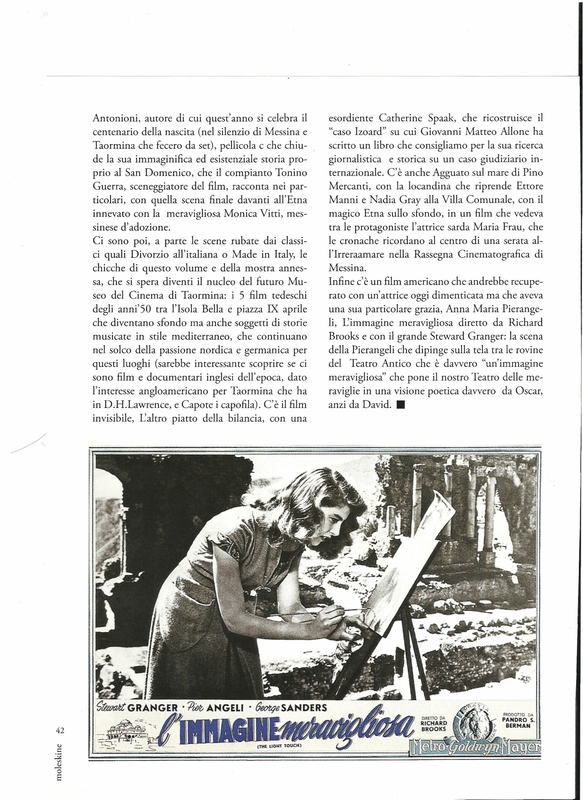 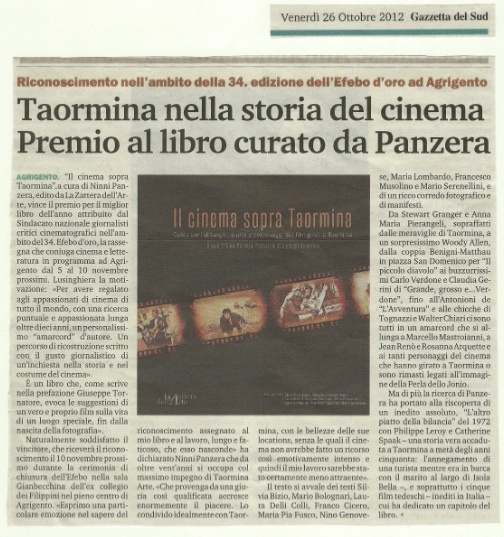 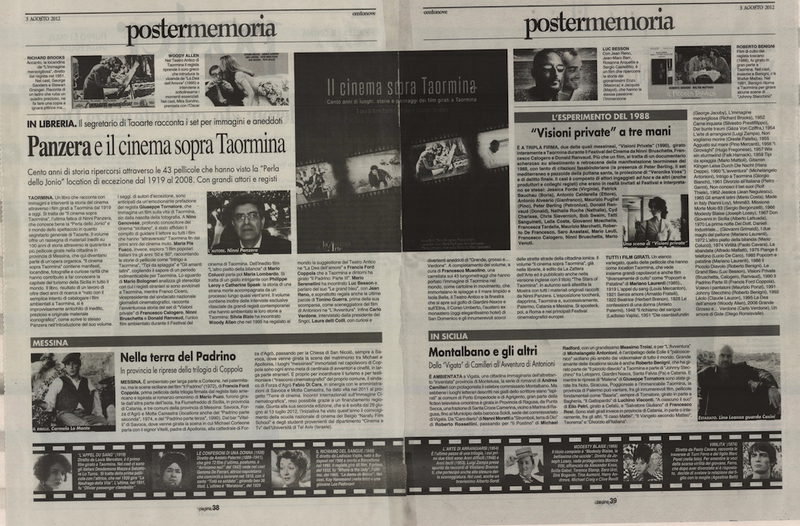 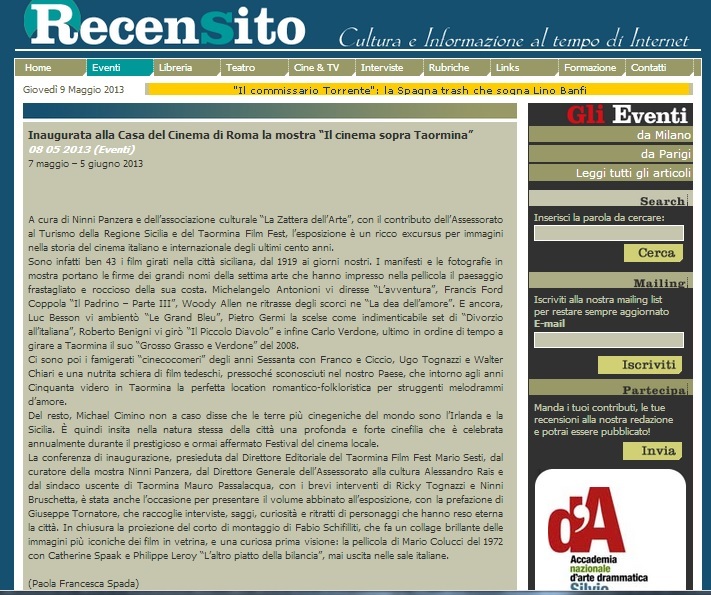 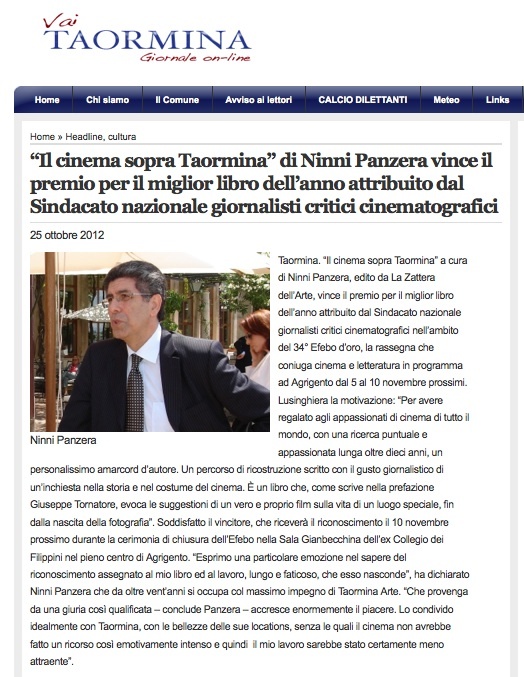 Il Cinema Sopra Taormina is an exhibition which showcases film materials, posters, posters, showing landscapes of Taormina. 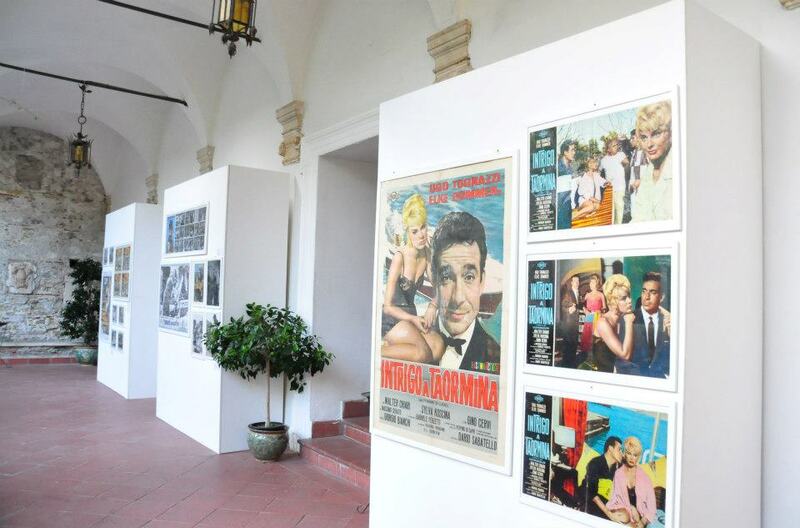 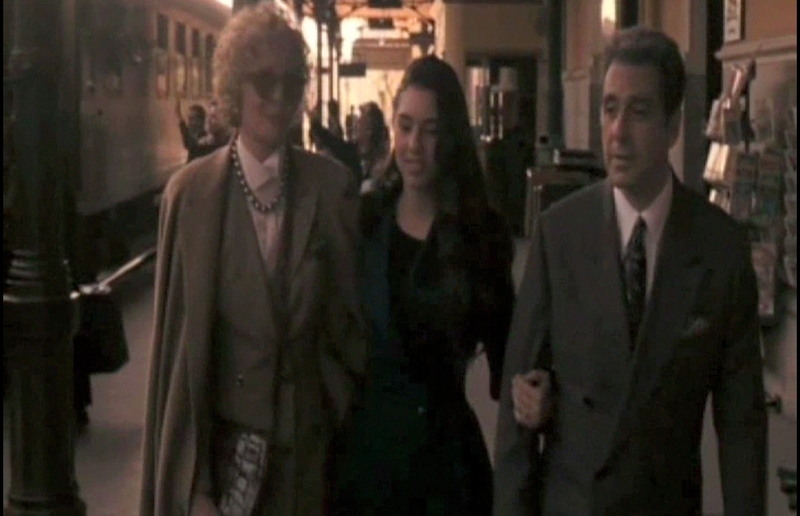 The exhibition is completed an extensive collection of stills.